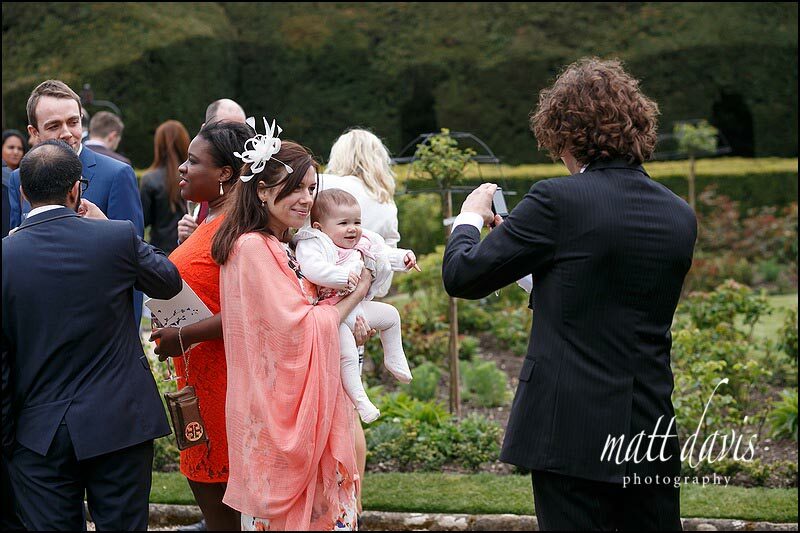 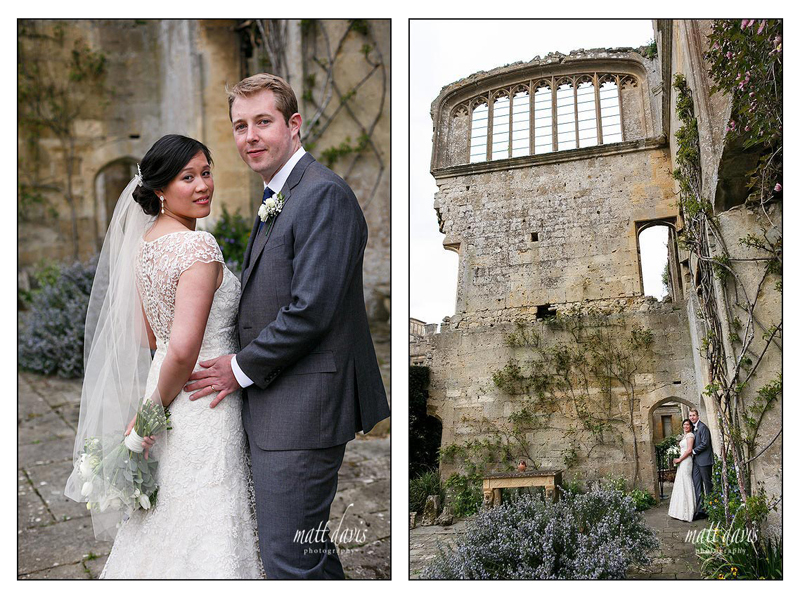 Last weekend I was at Sudeley Castle in Gloucestershire for the wedding of Rob & Peling. 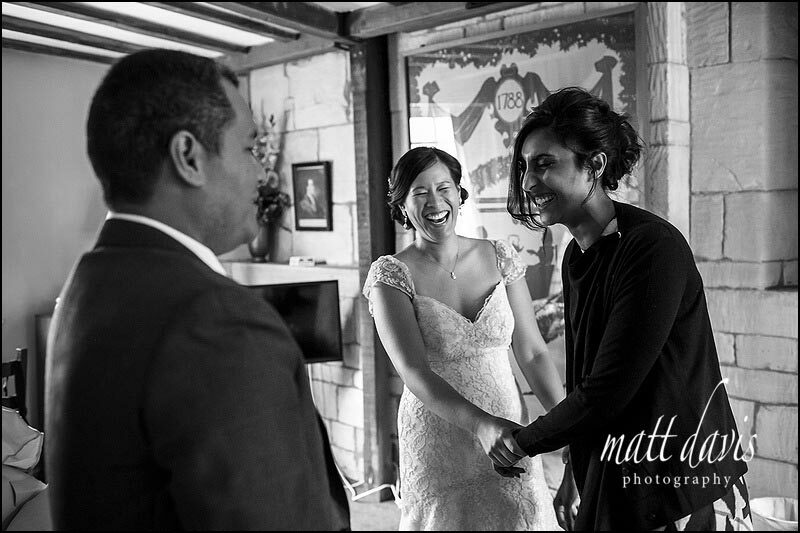 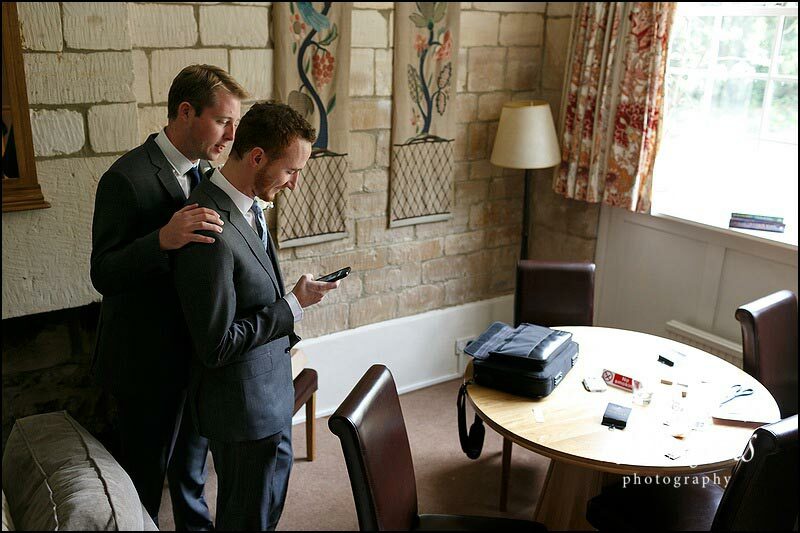 I’d previously only chatted to them over Skype as they reside in the USA, but chose to get married back here in the UK close to Rob’s parents home in the Cotswolds. 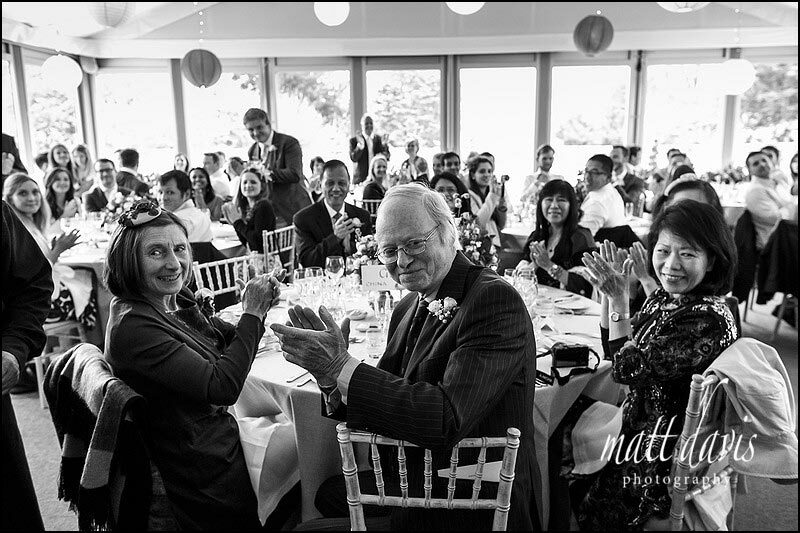 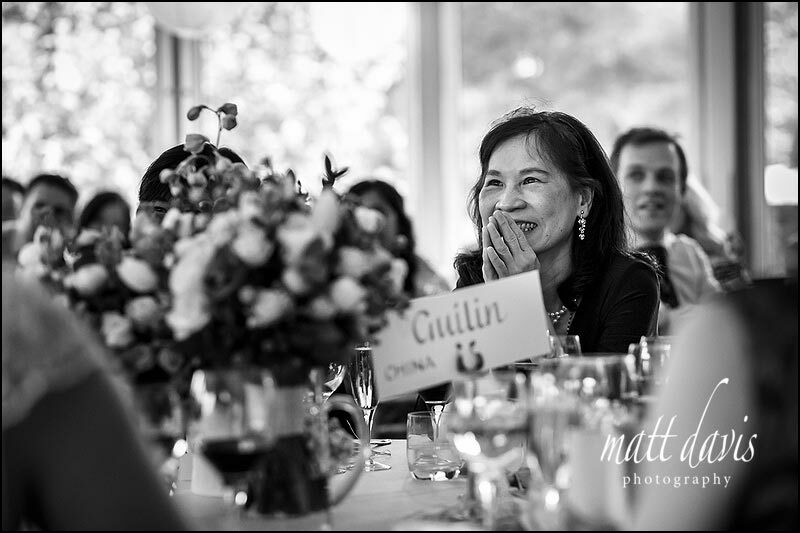 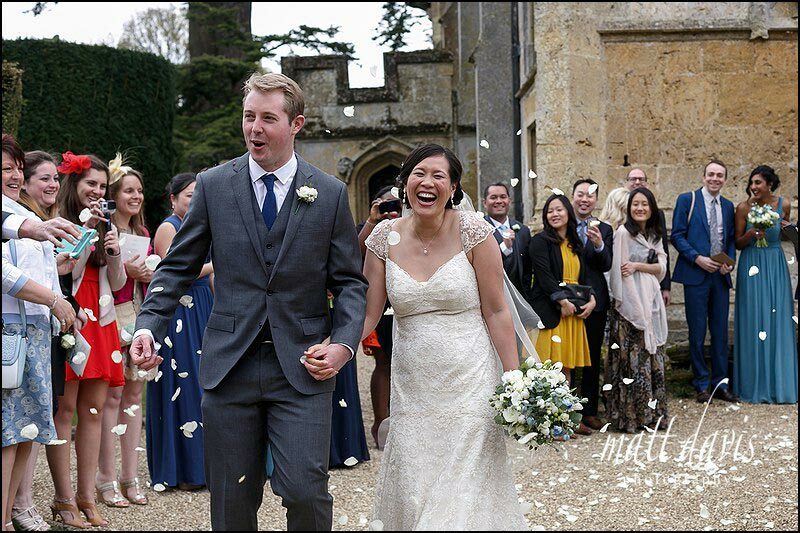 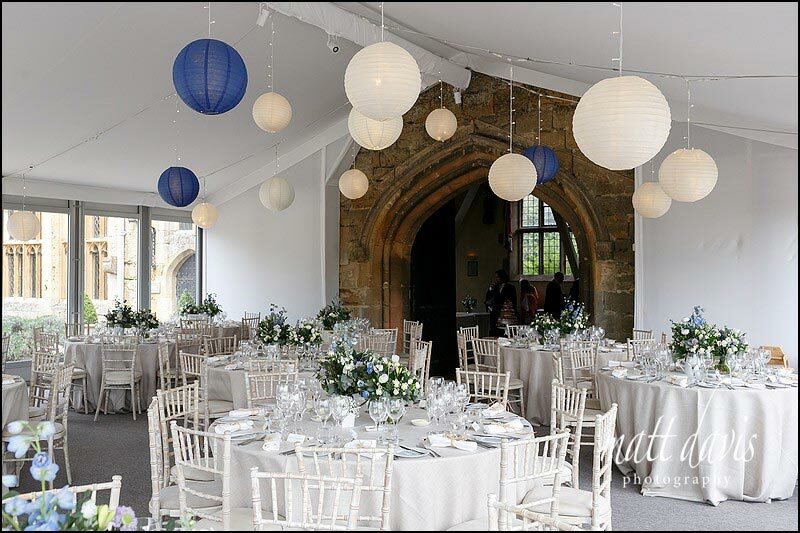 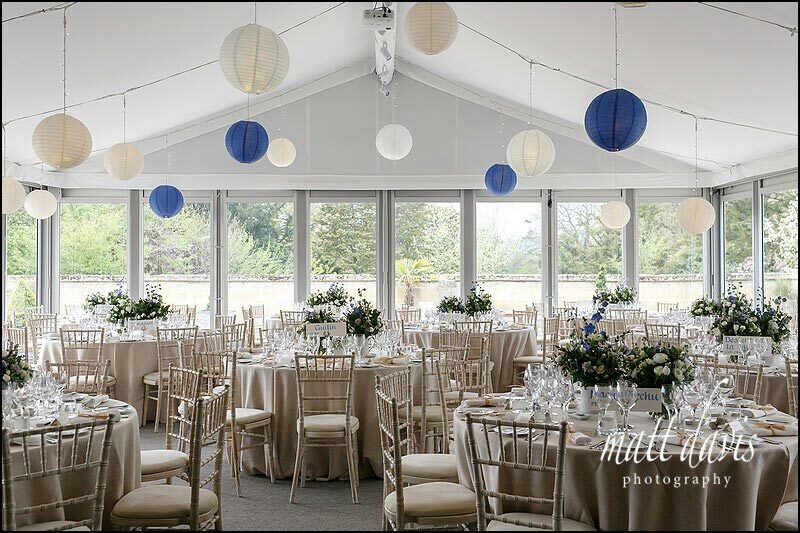 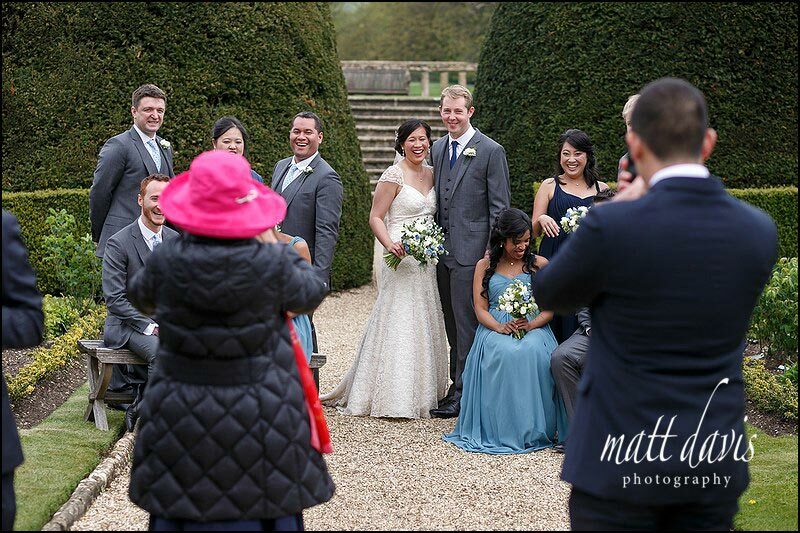 Sudeley Castle wedding venue is stunning, certainly one to wow the American and Chinese contingent who formed a large part of the wedding party. 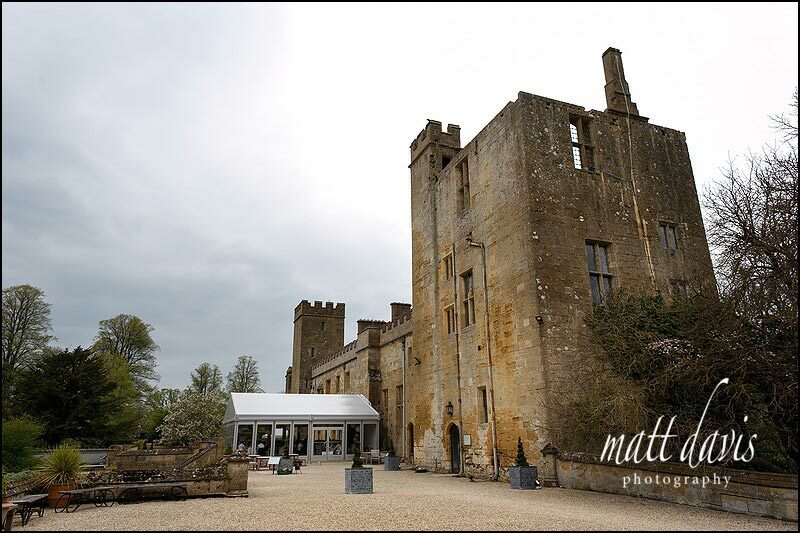 As to if Rob made up it’s cultural history I couldn’t possibly disclose, but it’s a fabulous backdrop for a wedding day and well worth considering if you’re looking for a castle wedding. 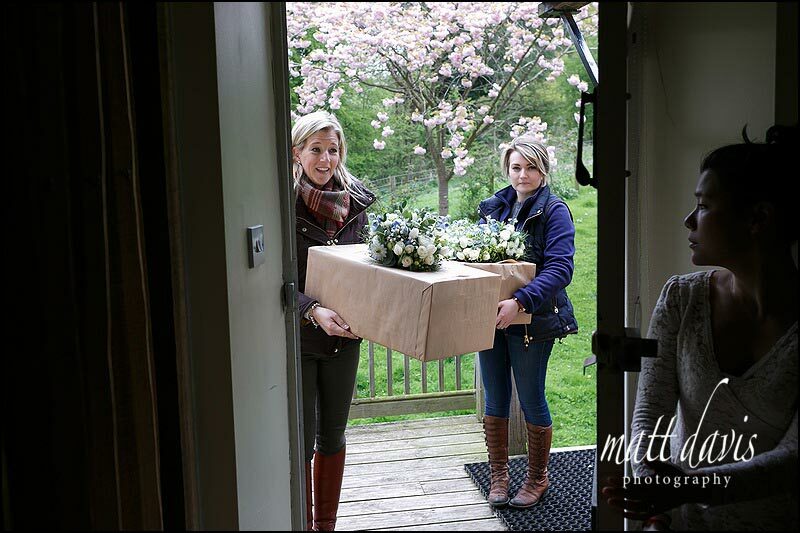 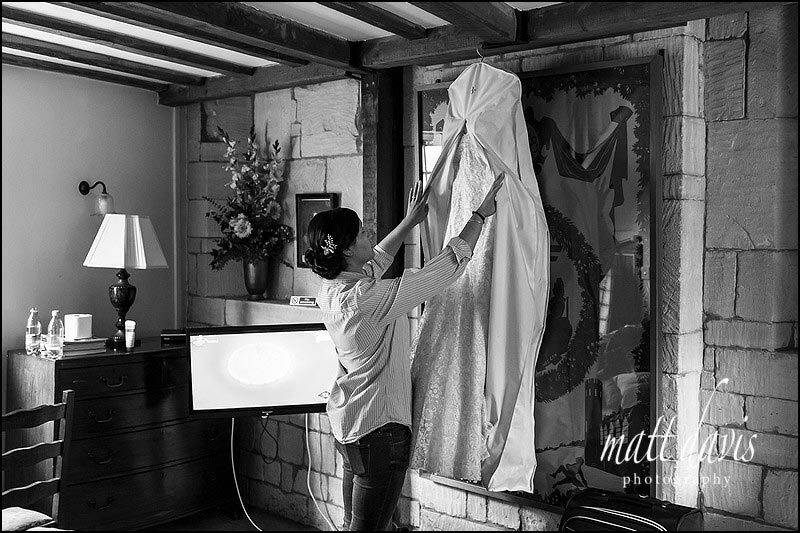 The day started in Sudeley Castle cottages where it soon became clear Peling and her bridesmaids had an agenda. 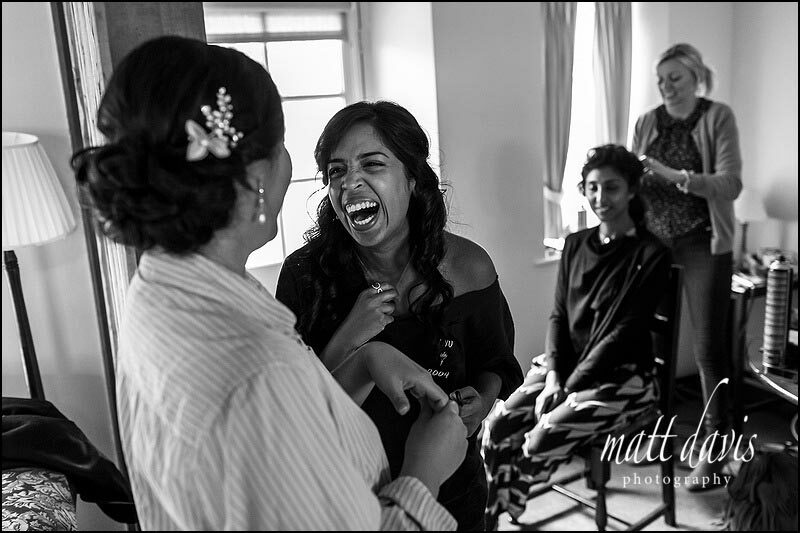 No not hair and make-up, that was more or less done. 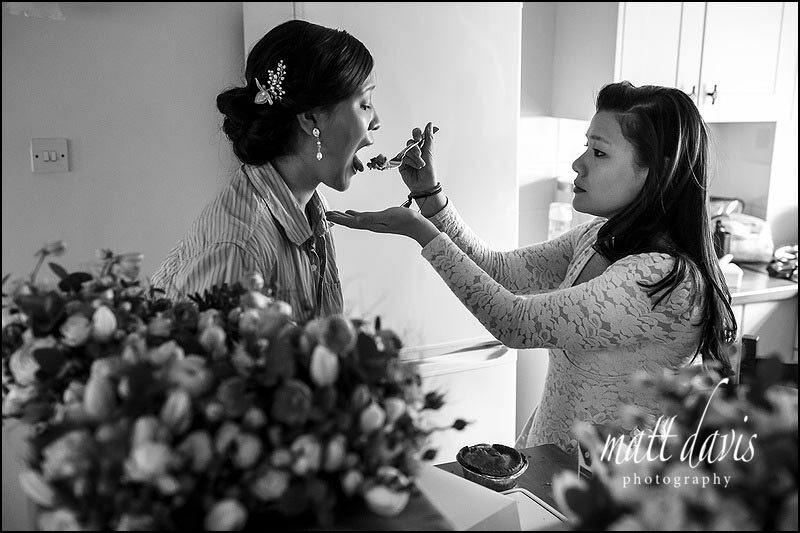 But to eat! 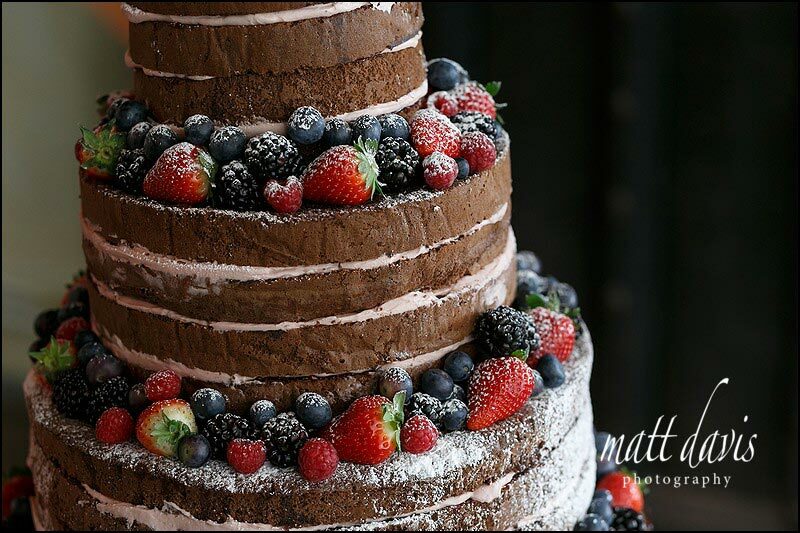 You can’t start a wedding day on an empty stomach right? 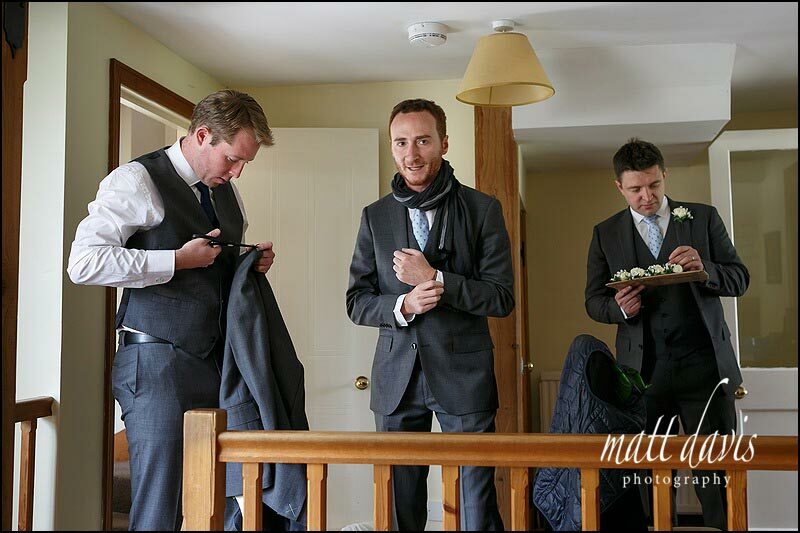 This need to eat was mentioned again during speeches, clearly no-one should stand in the way of food & Peling. 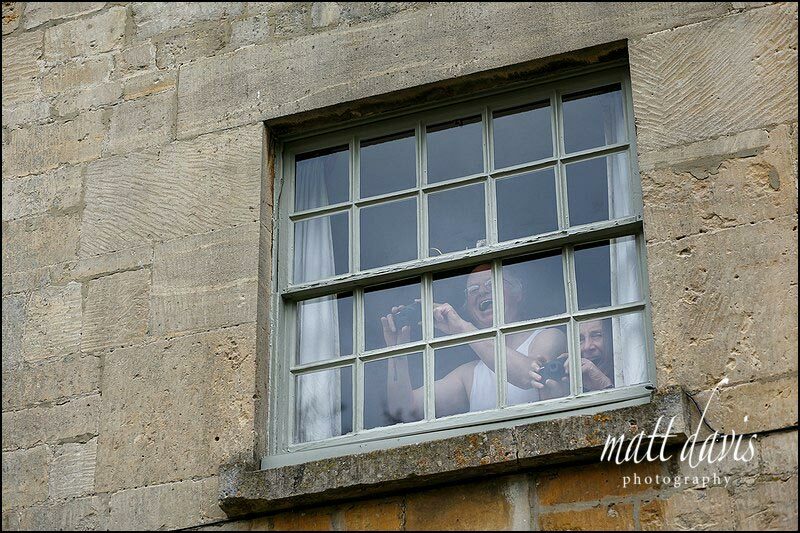 I believe the term to use is ‘hungry’ (angry when hungry). 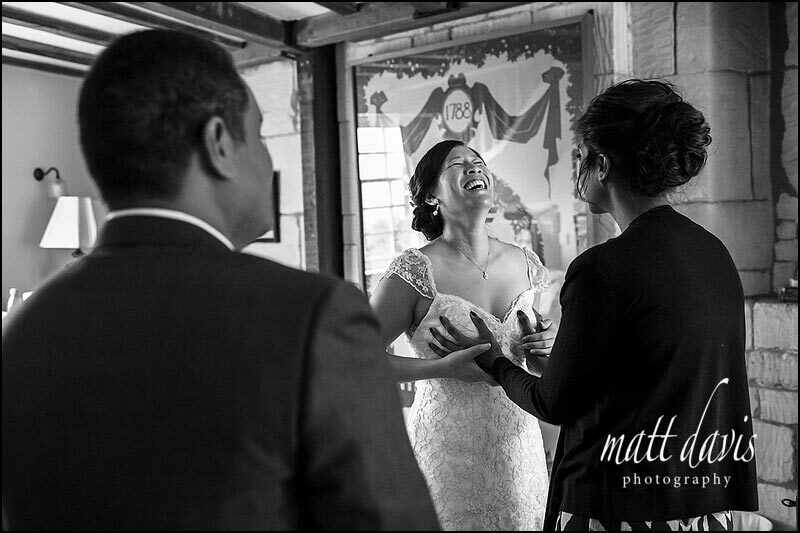 One I’m aware of when my wife hits the wall too!! 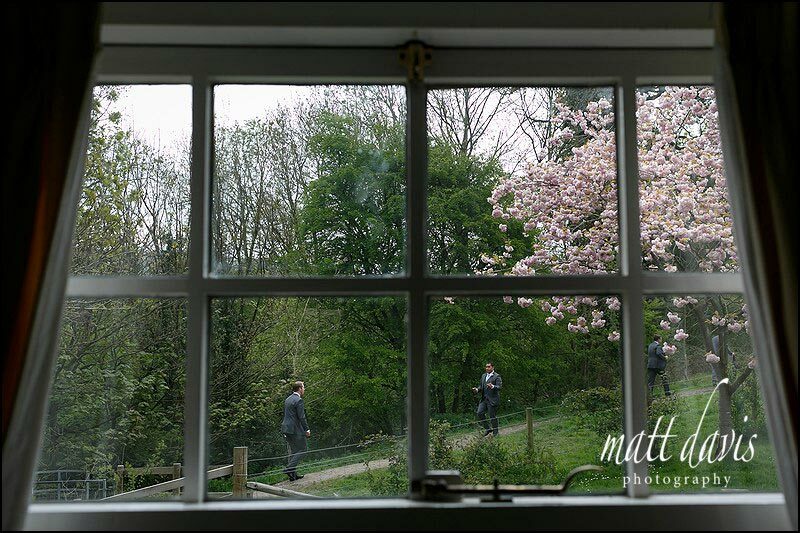 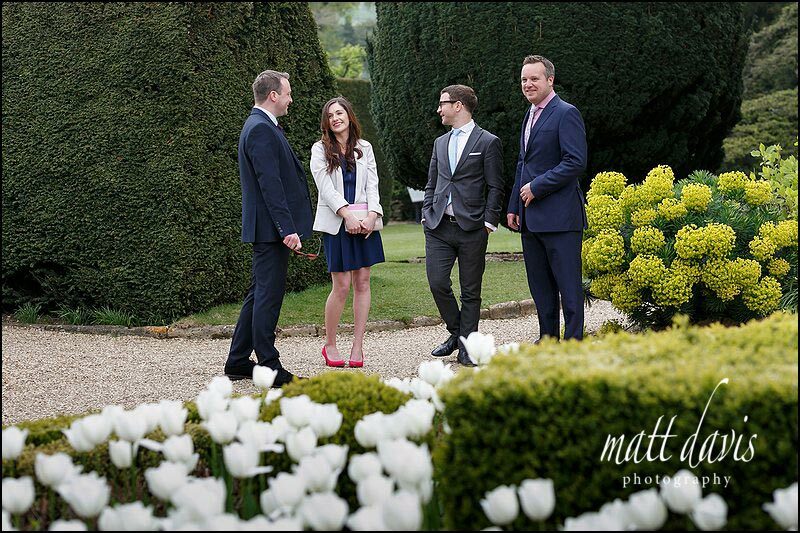 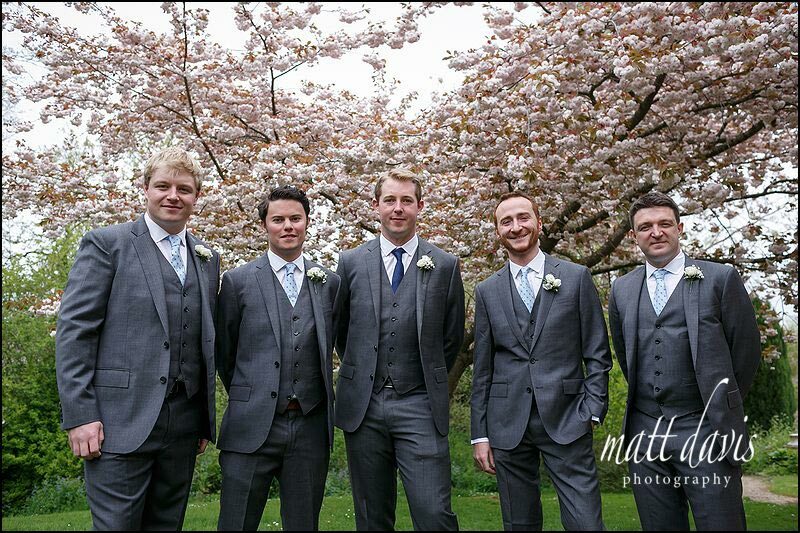 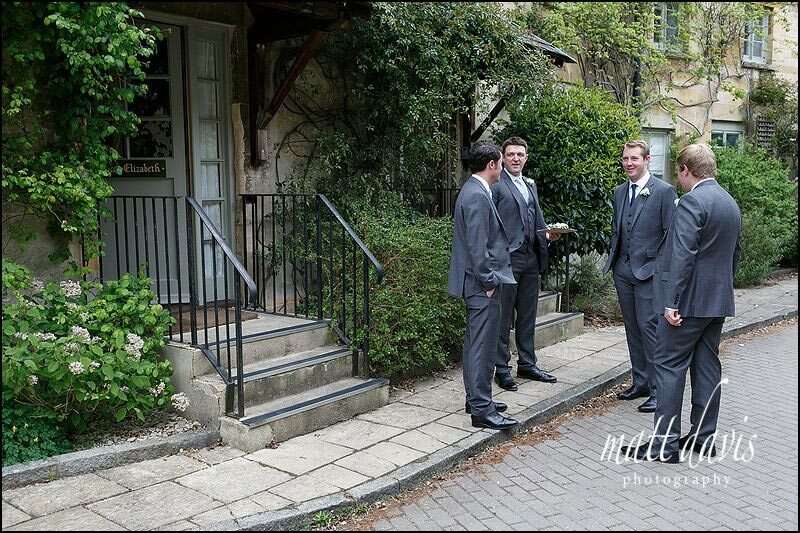 With Rob & the guys on the doorstep of Sudeley Castle cottages too, it was simple enough to get a few photos of them finalising outfits, before they walked on up to the Castle itself. 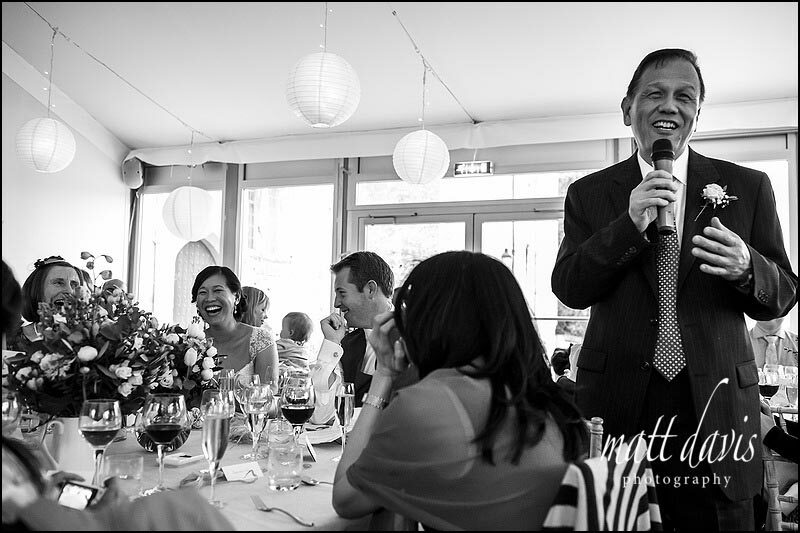 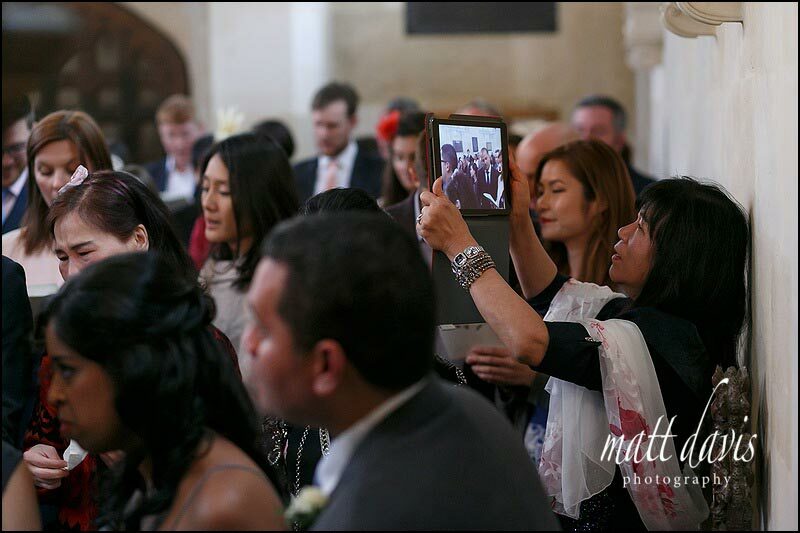 It’s a great solution for wedding guests who wish to be local to the venue, yet independent from the ceremony venue itself. 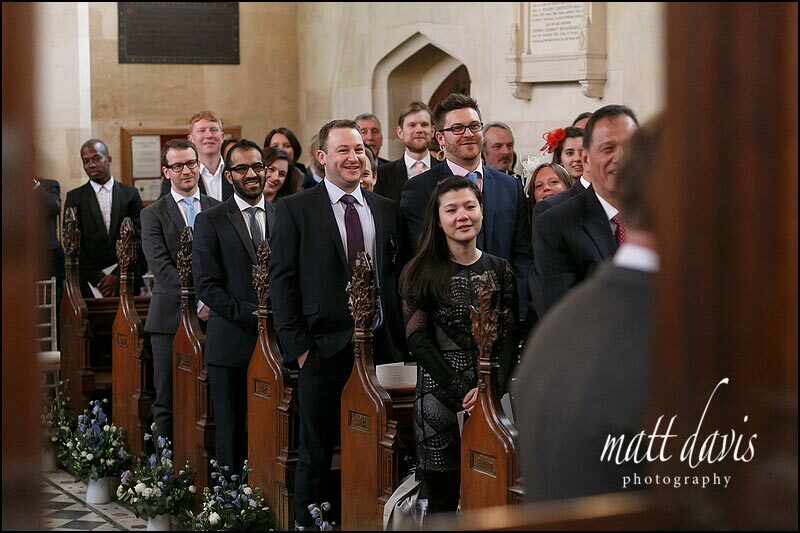 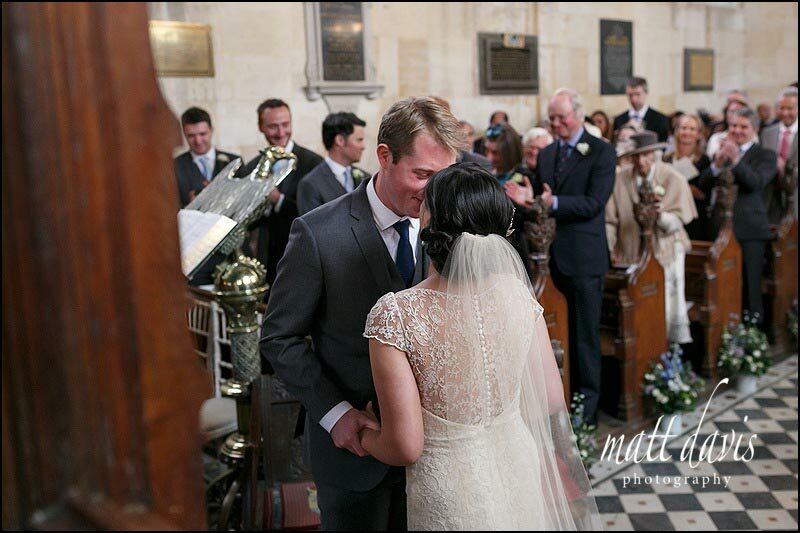 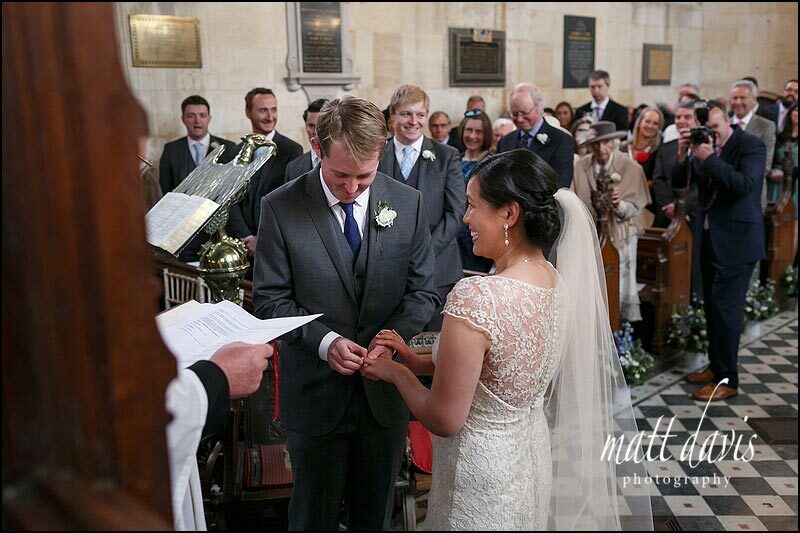 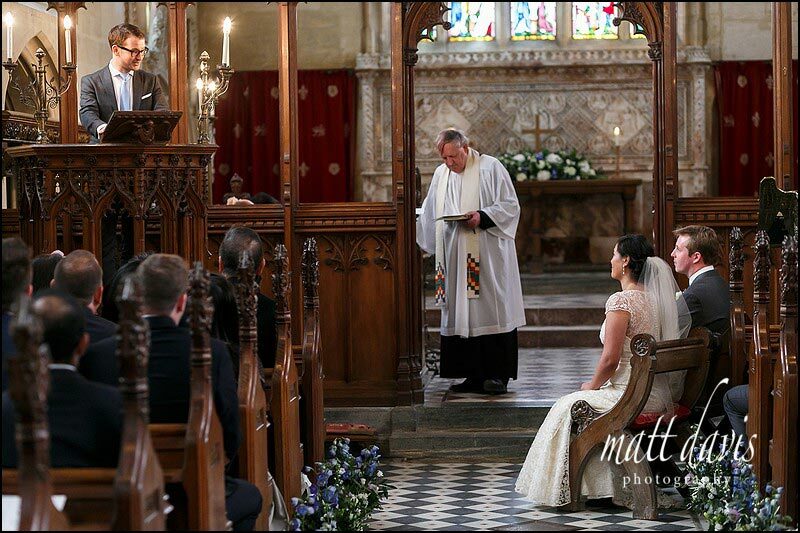 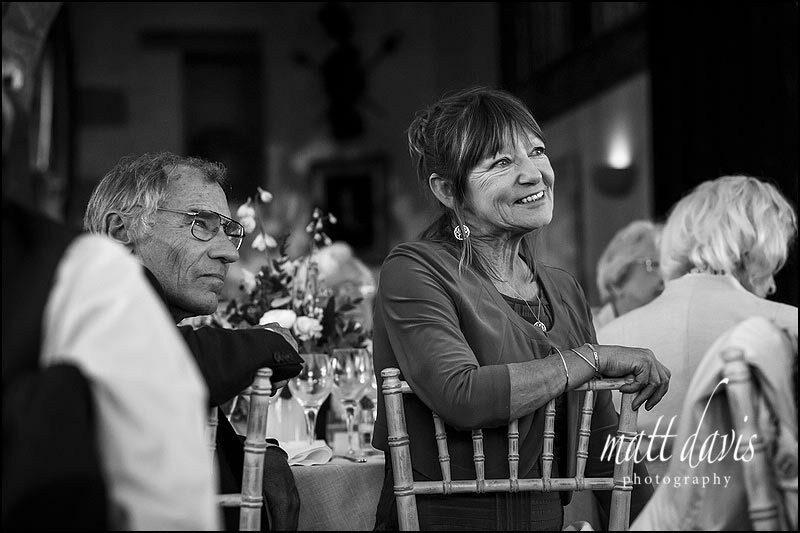 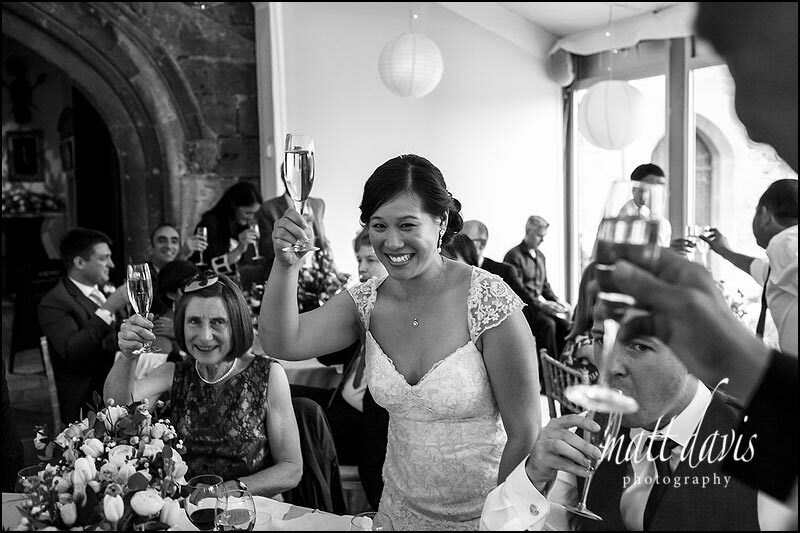 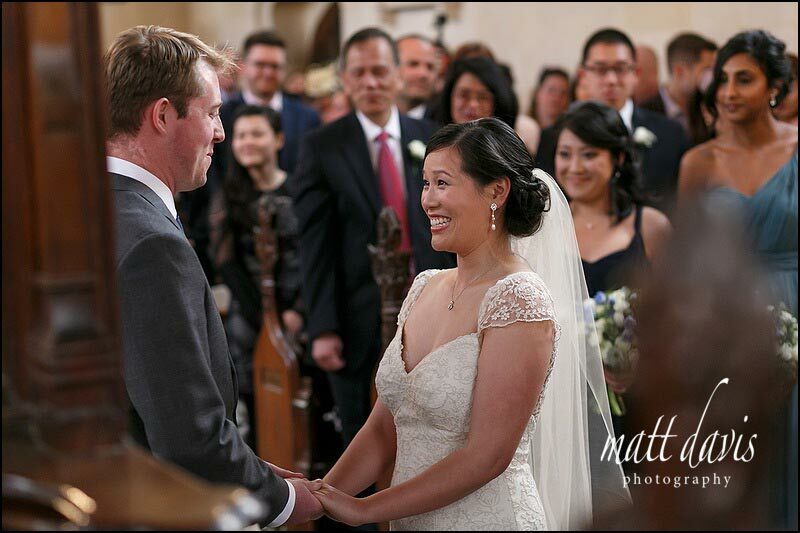 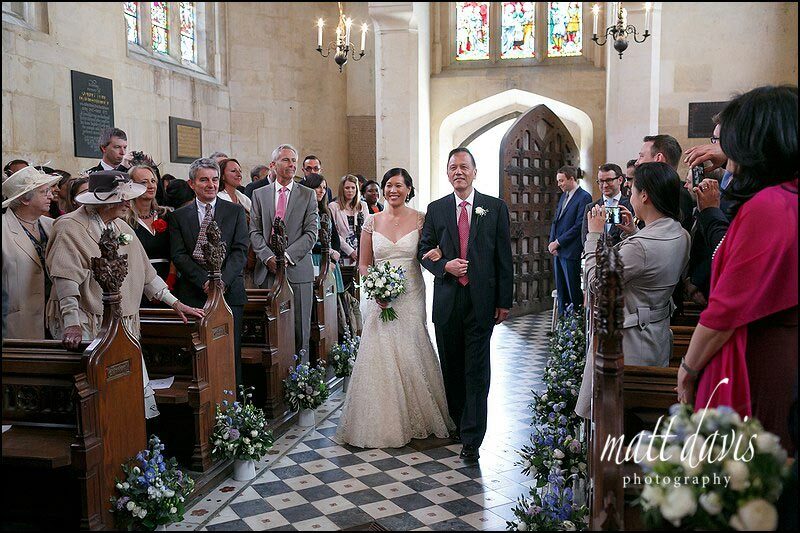 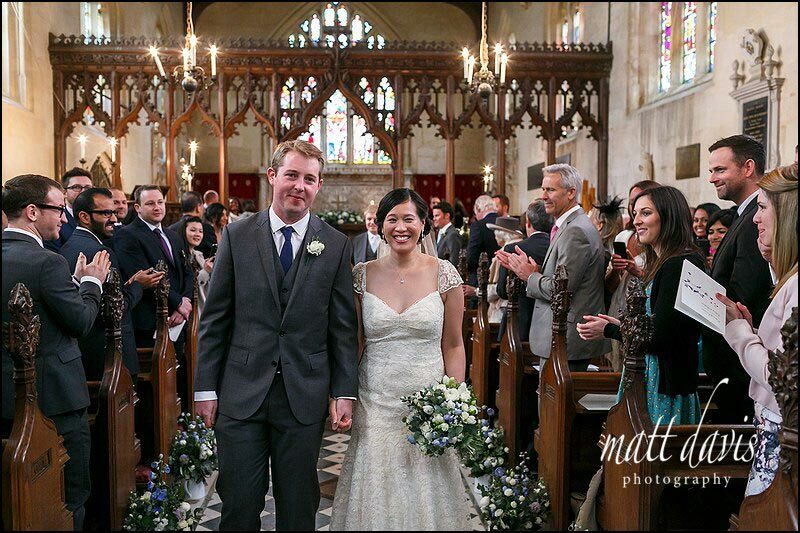 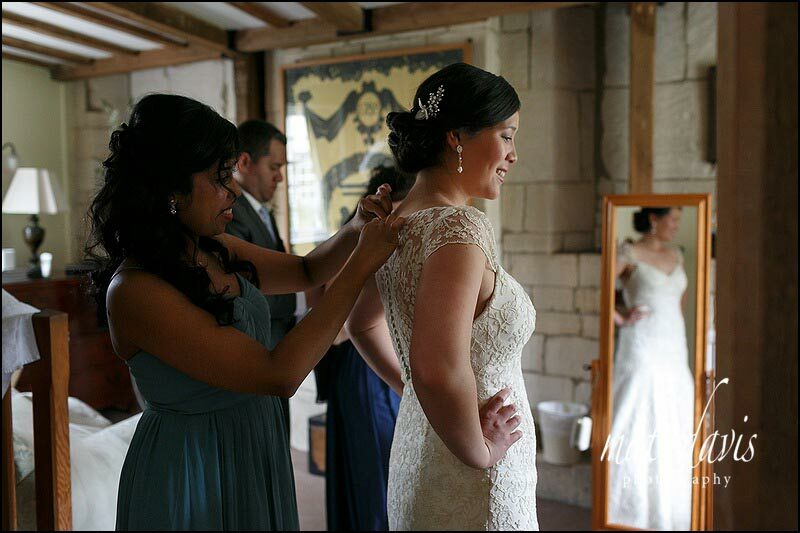 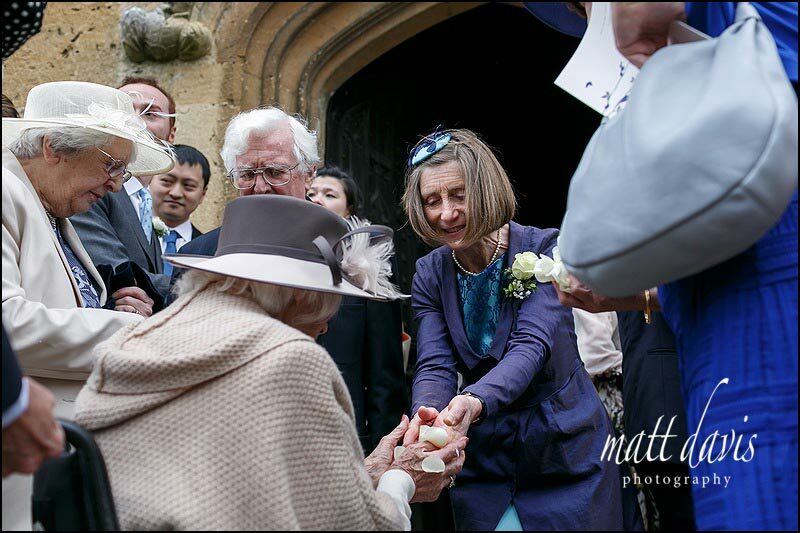 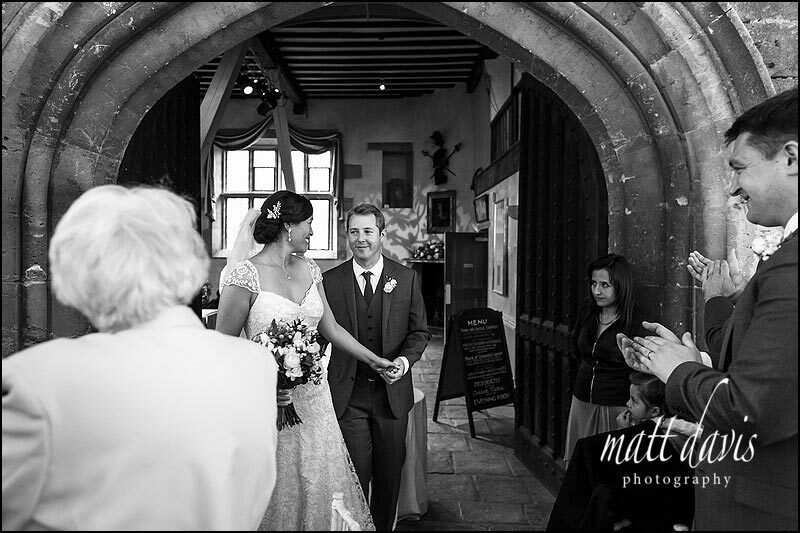 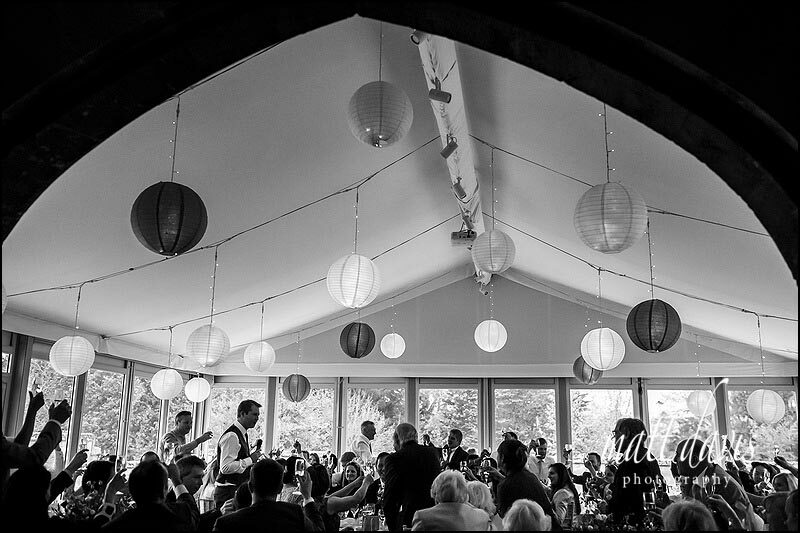 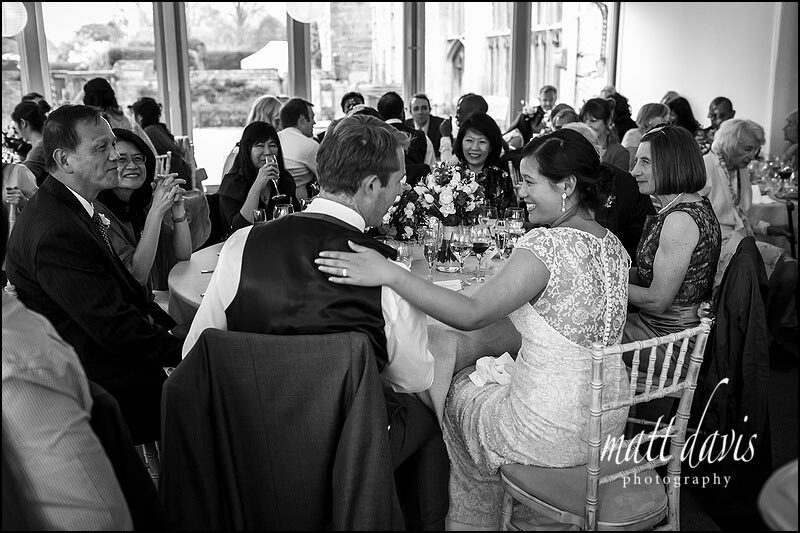 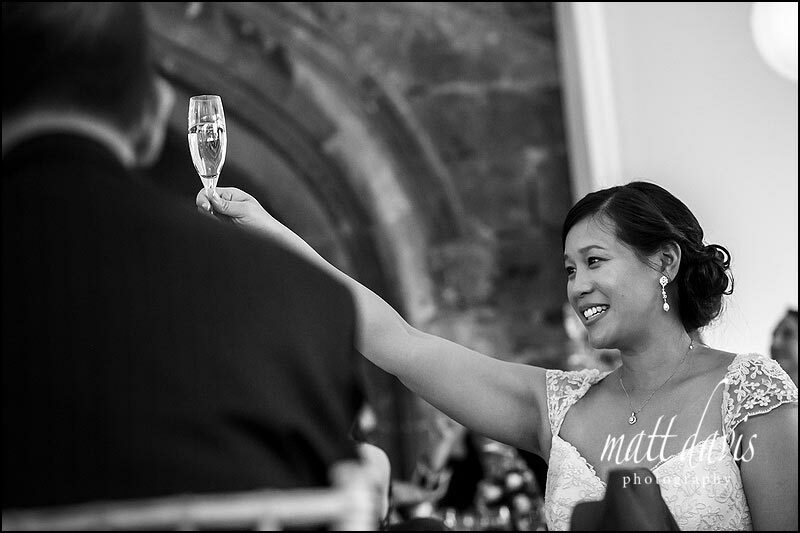 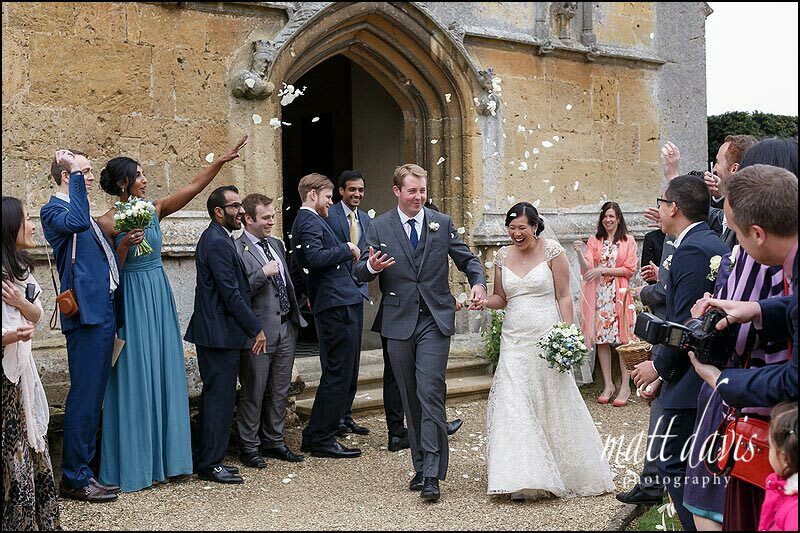 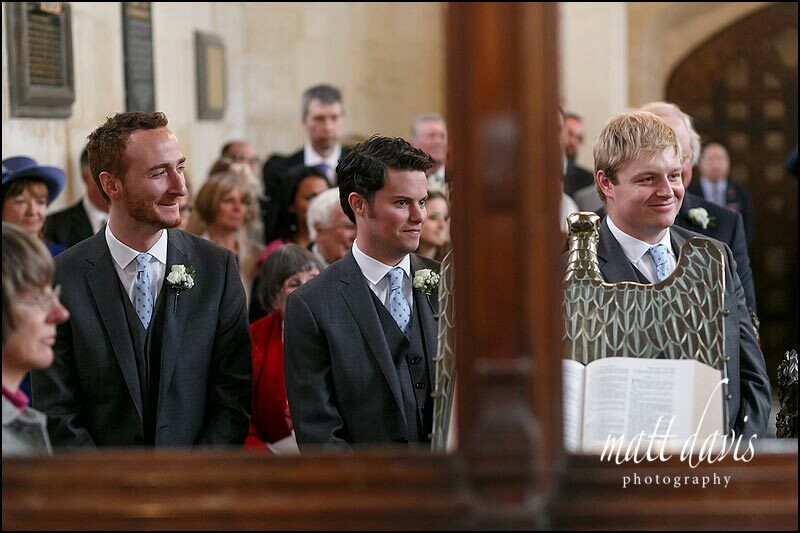 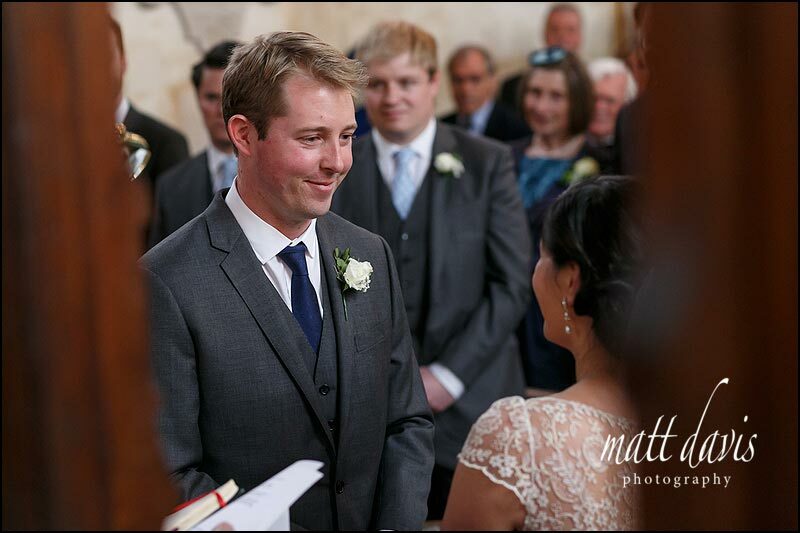 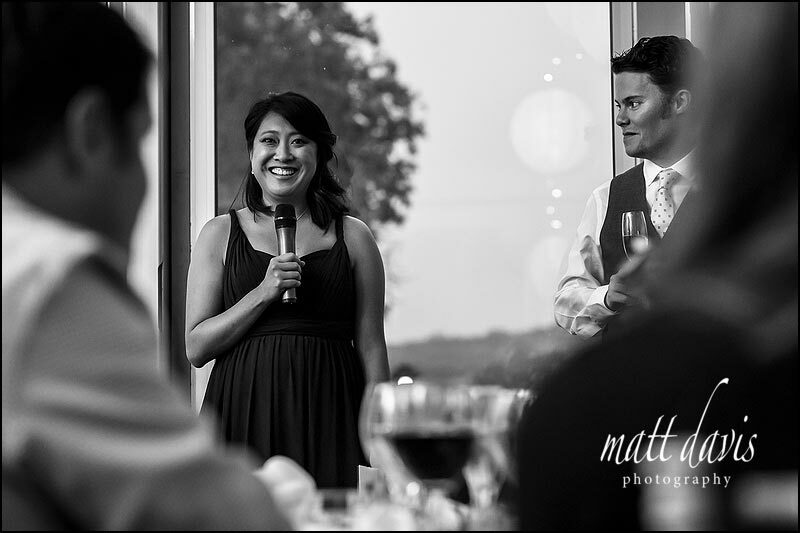 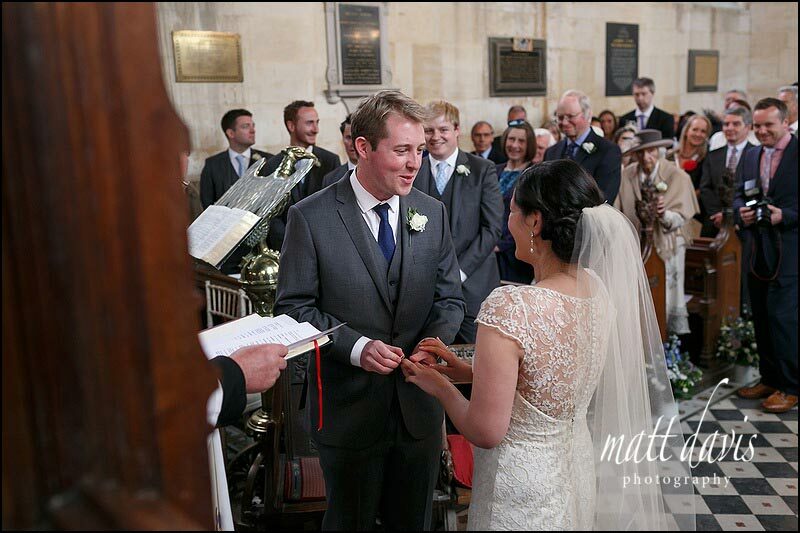 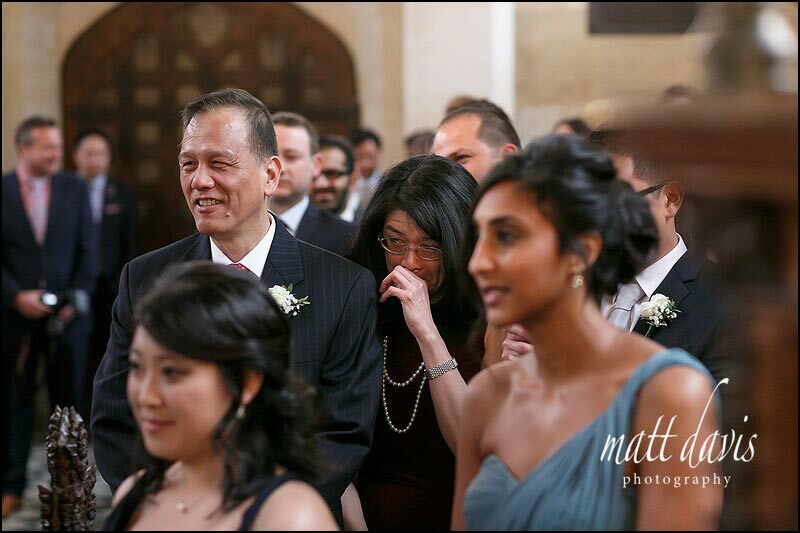 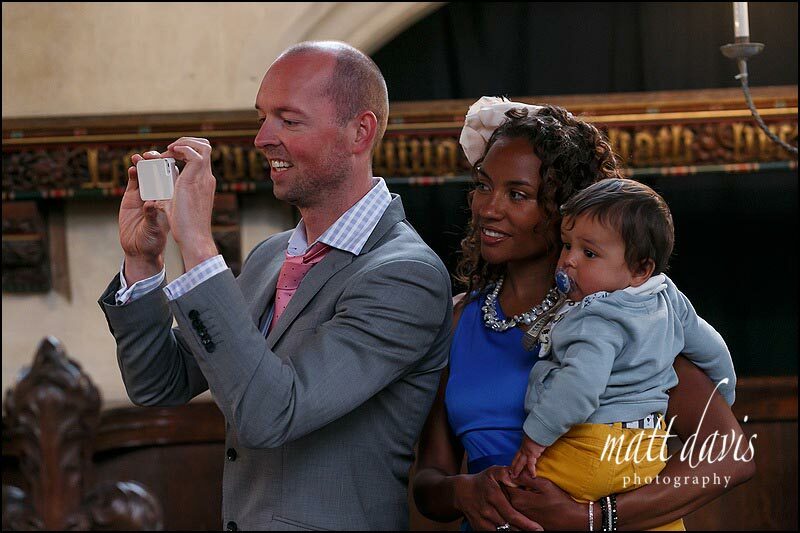 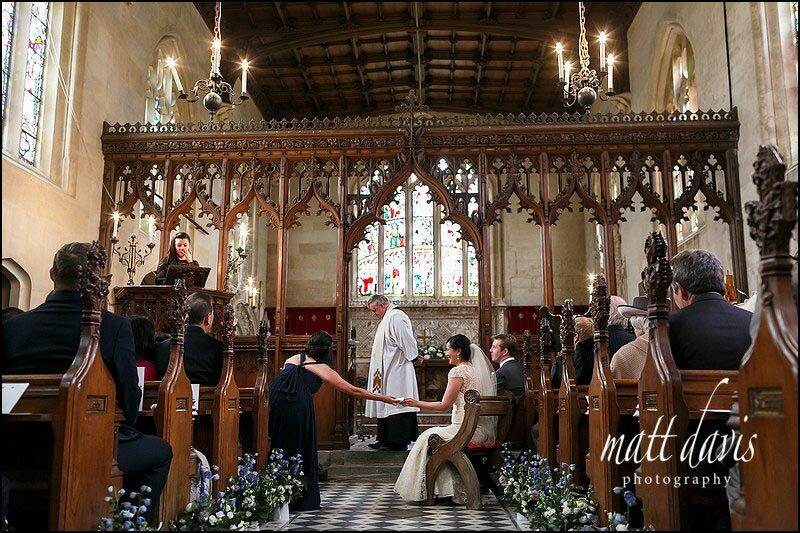 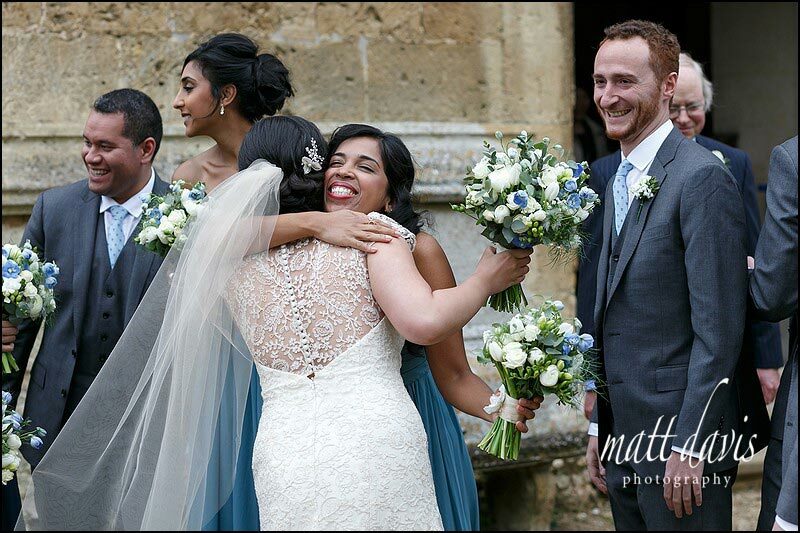 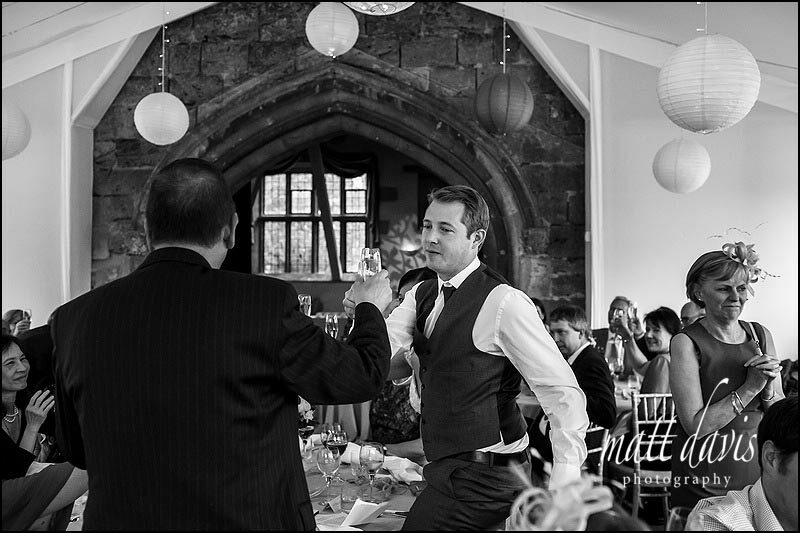 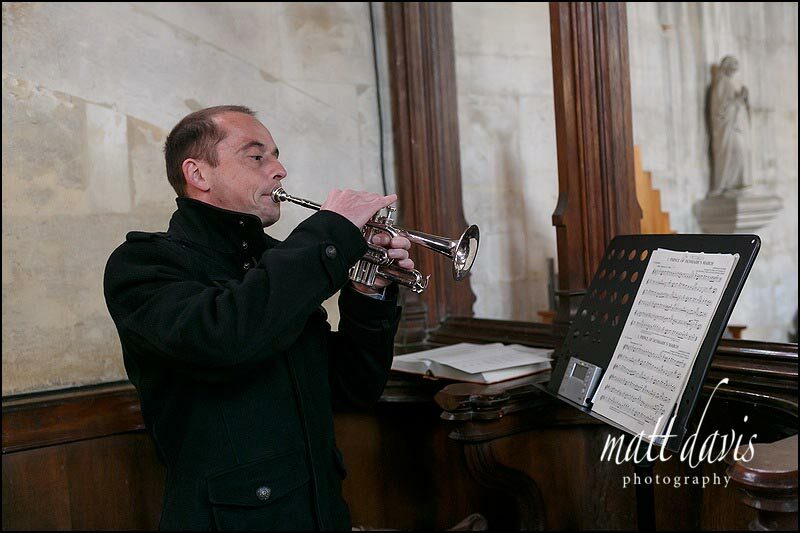 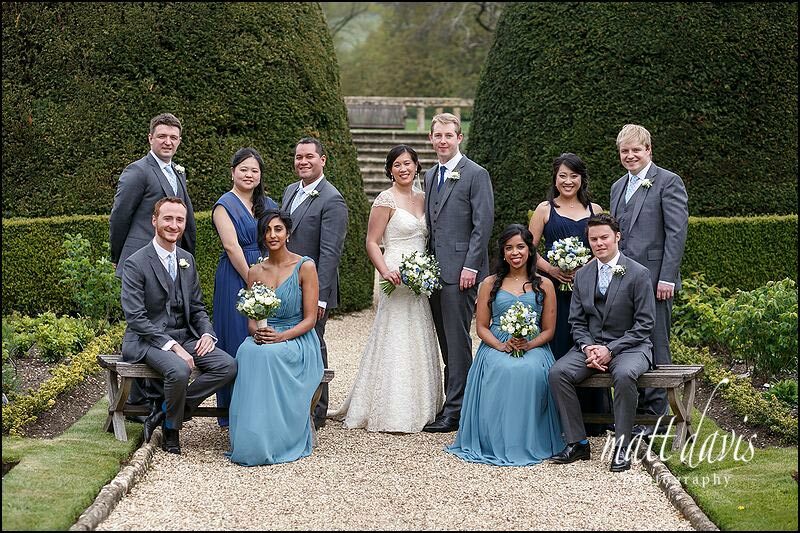 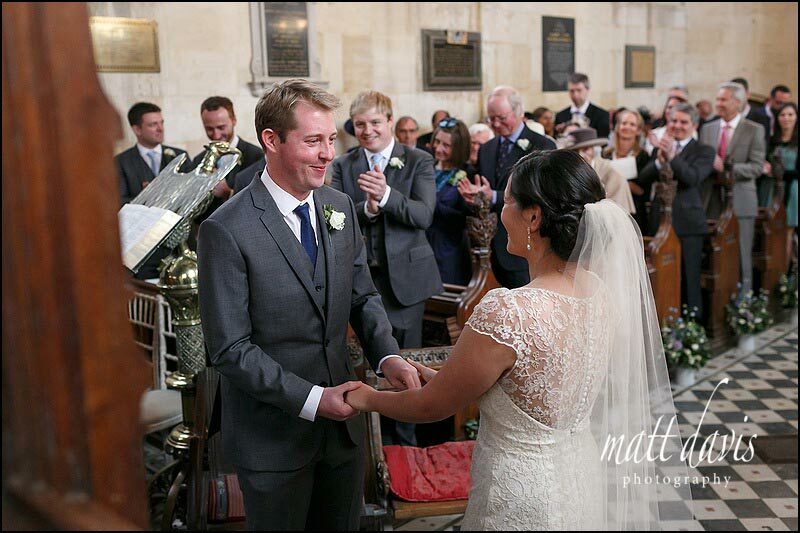 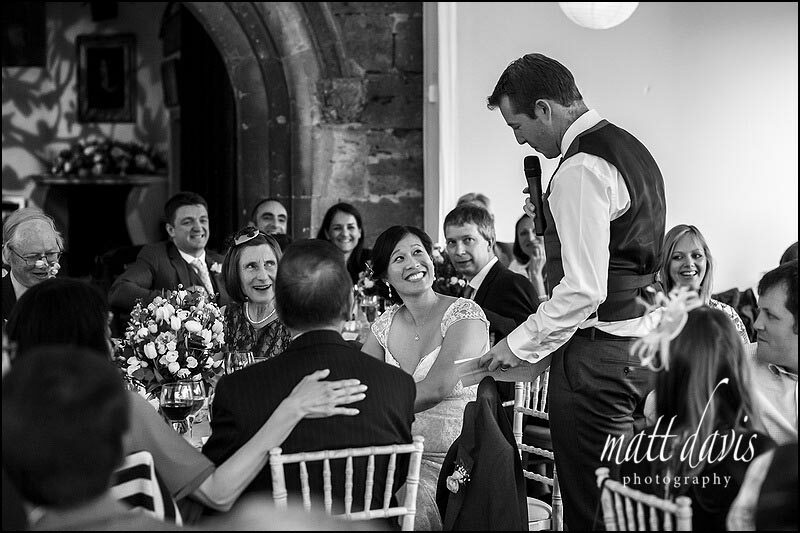 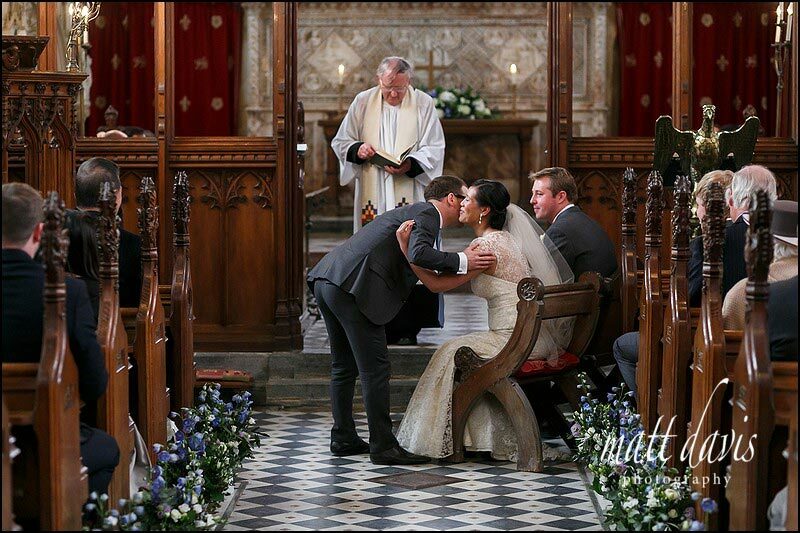 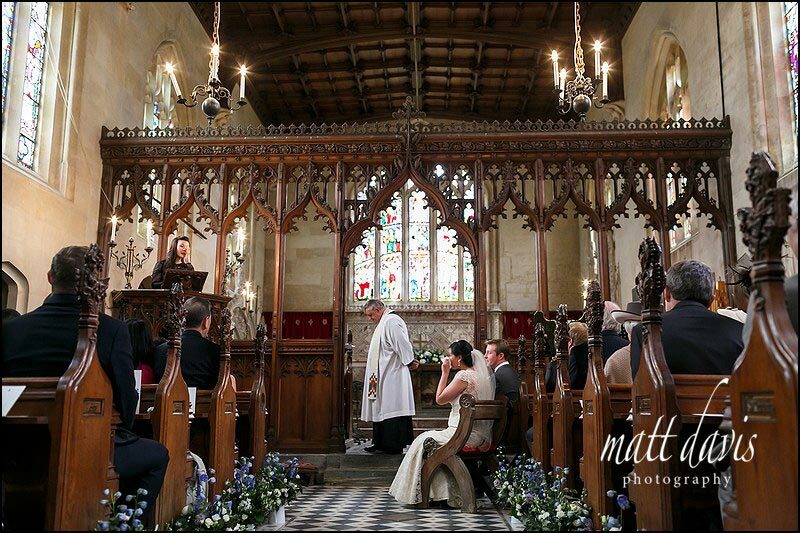 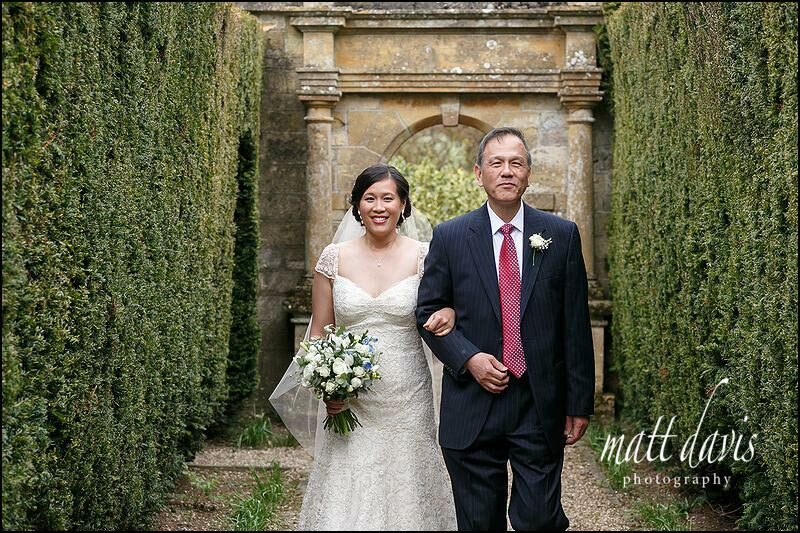 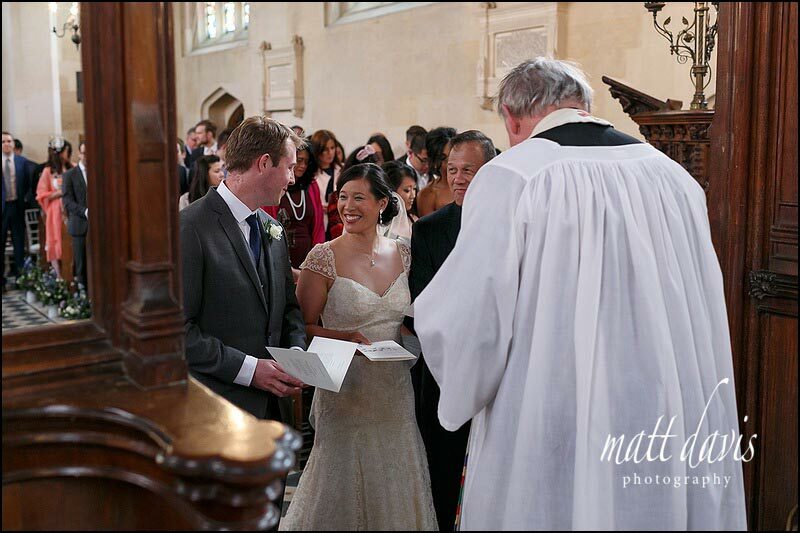 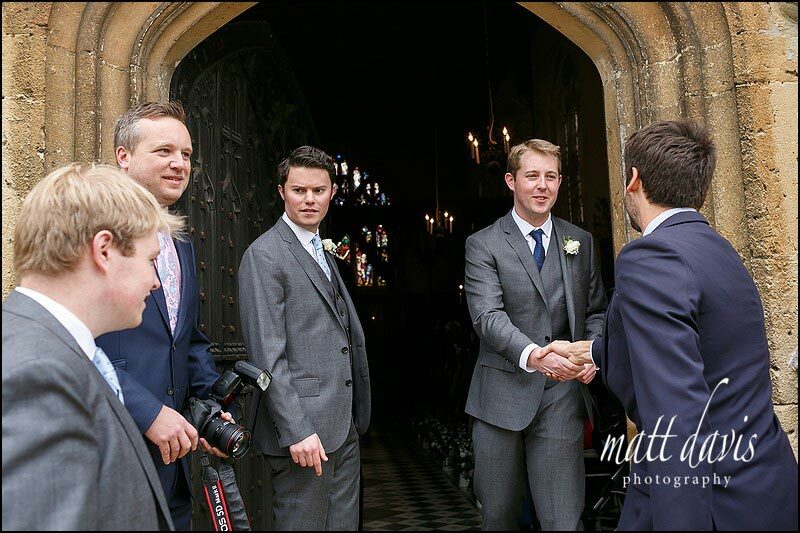 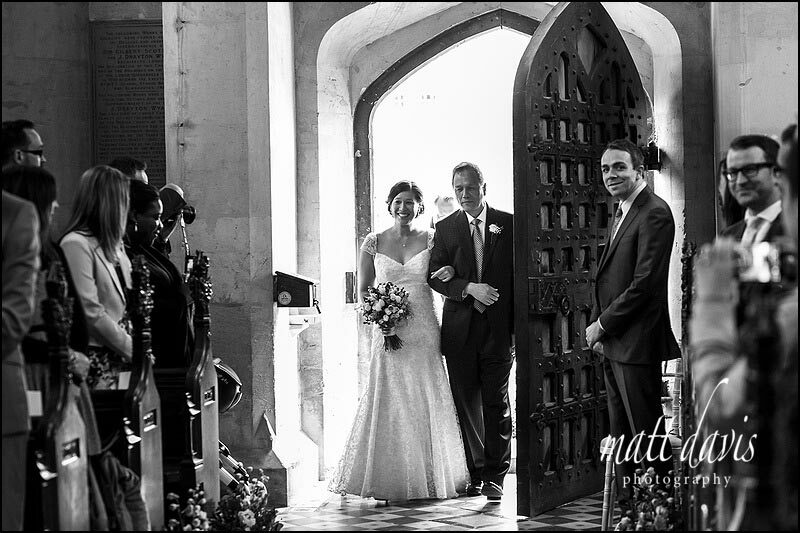 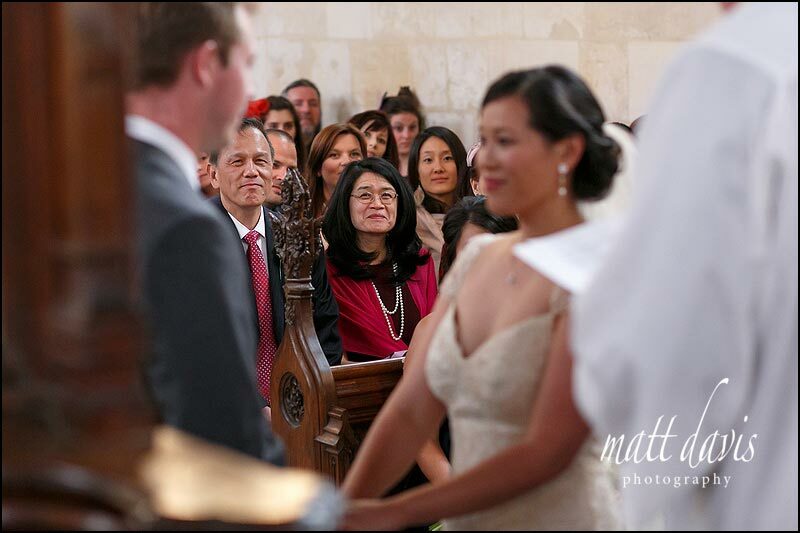 The ceremony was held in the on site Church within the beautiful grounds of Sudeley Castle. 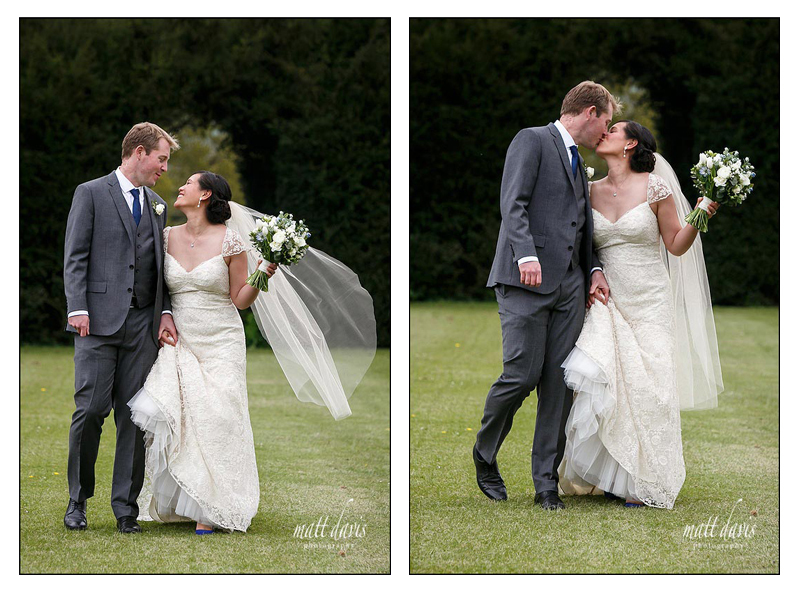 With only a minor hoc-up (waiting for a few stragglers to arrive) the day then went as you’d hope for. 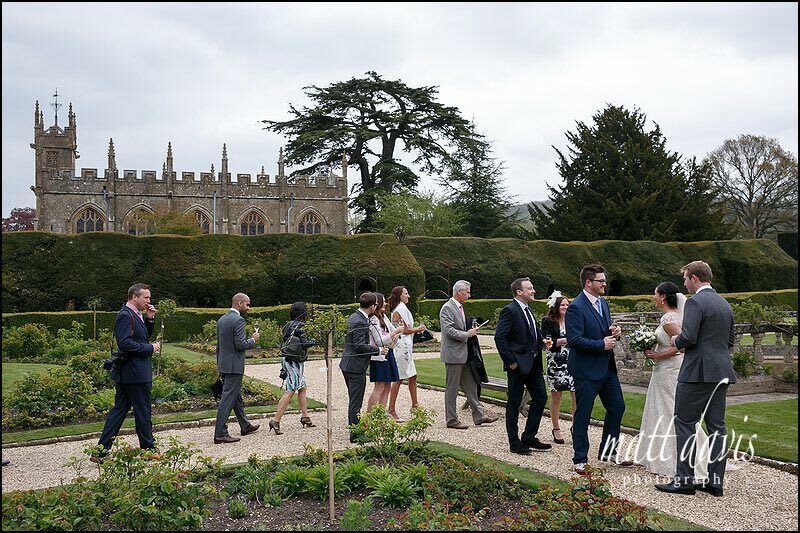 Dry and bright, if not a little cooler than it had been throughout April, but fine for photos and bearable for some time in the gardens to enjoy the drinks reception before heading indoors for the wedding breakfast. 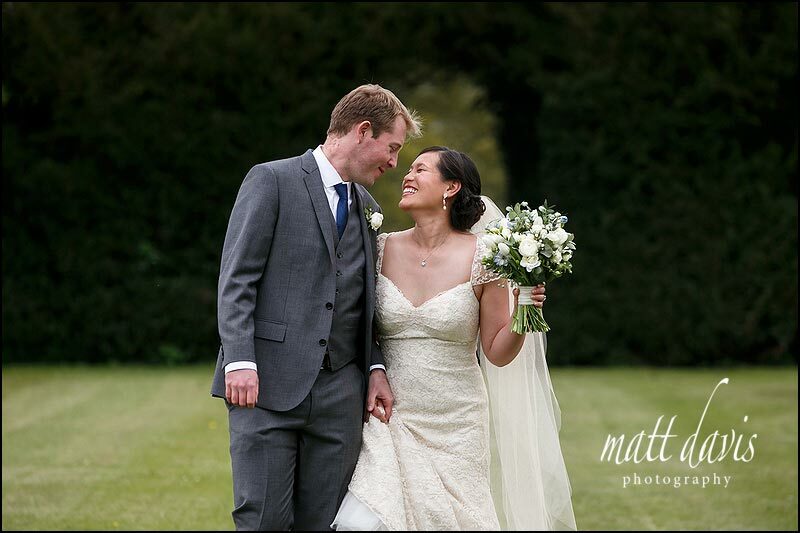 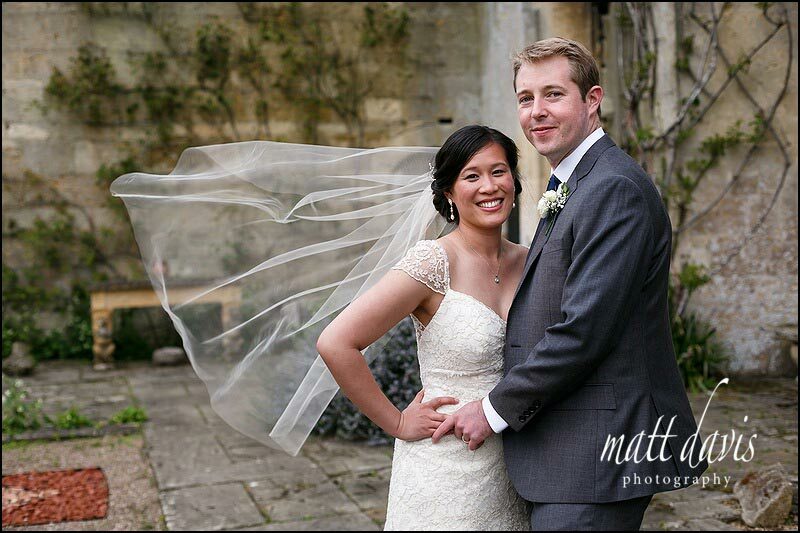 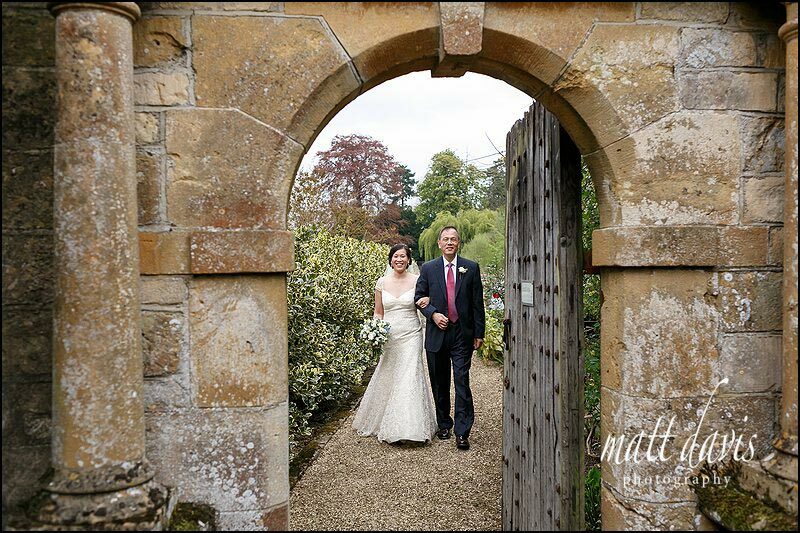 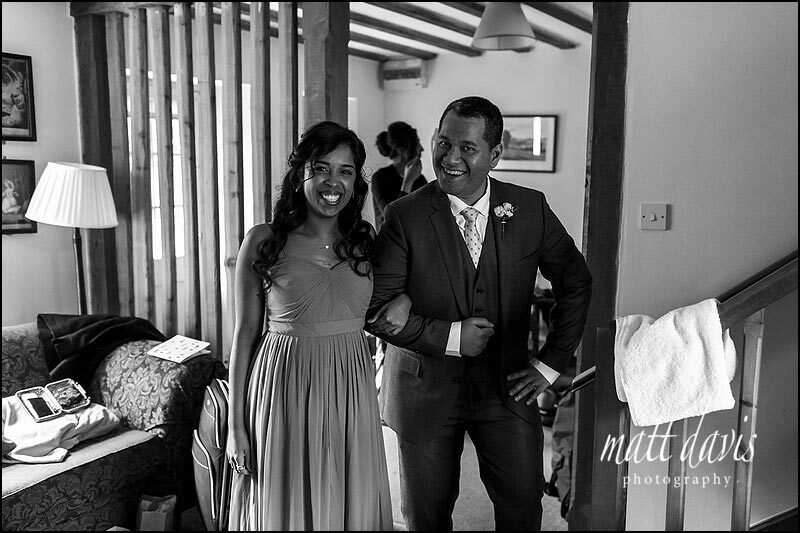 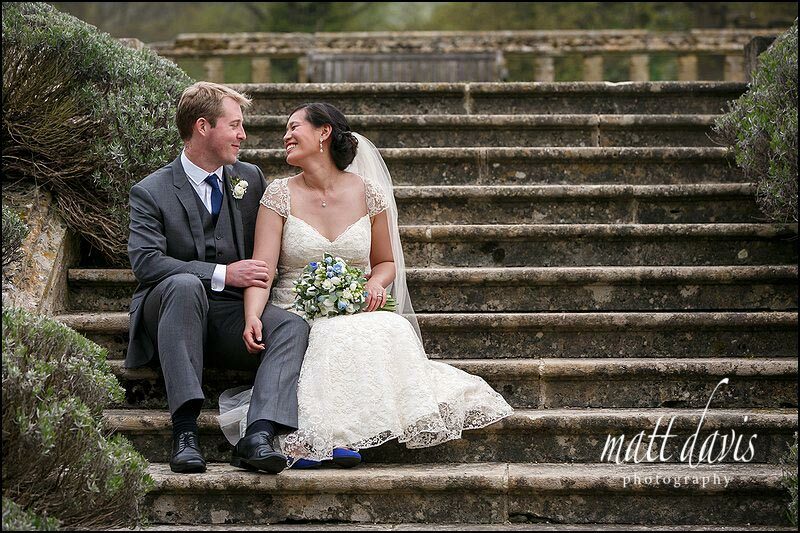 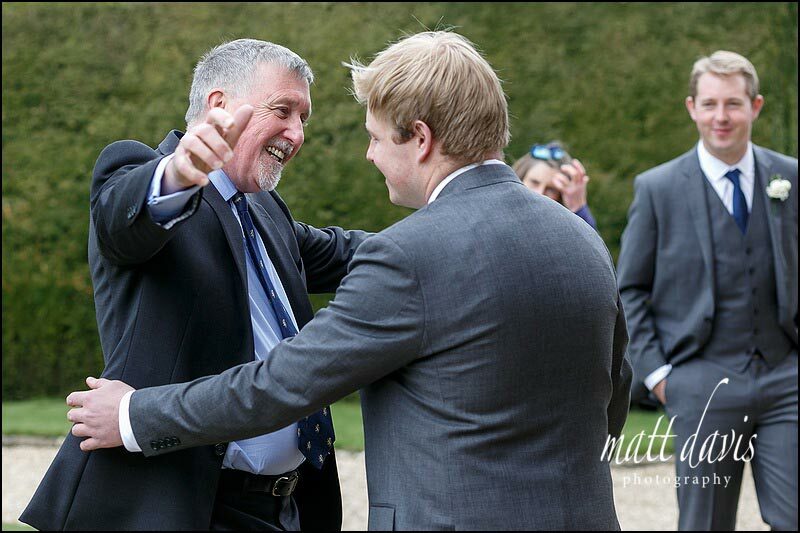 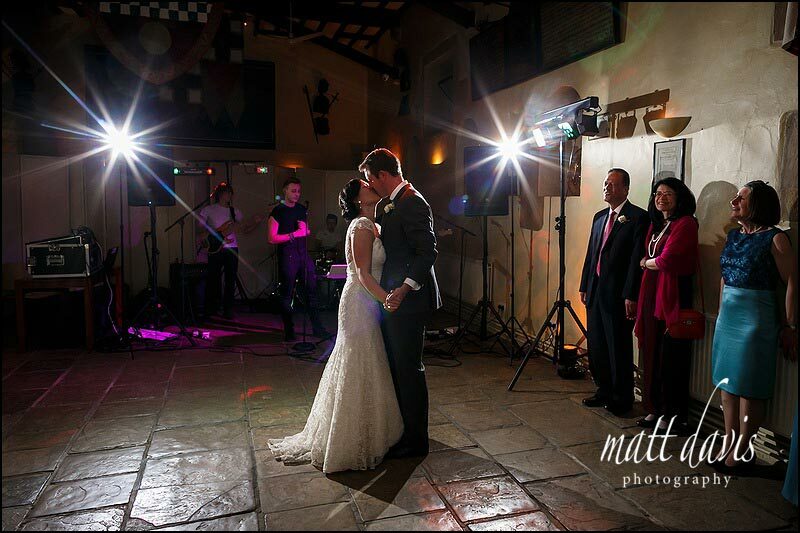 Anyhow, without further ado, here is the Sudeley Castle wedding of Rob & Peling. 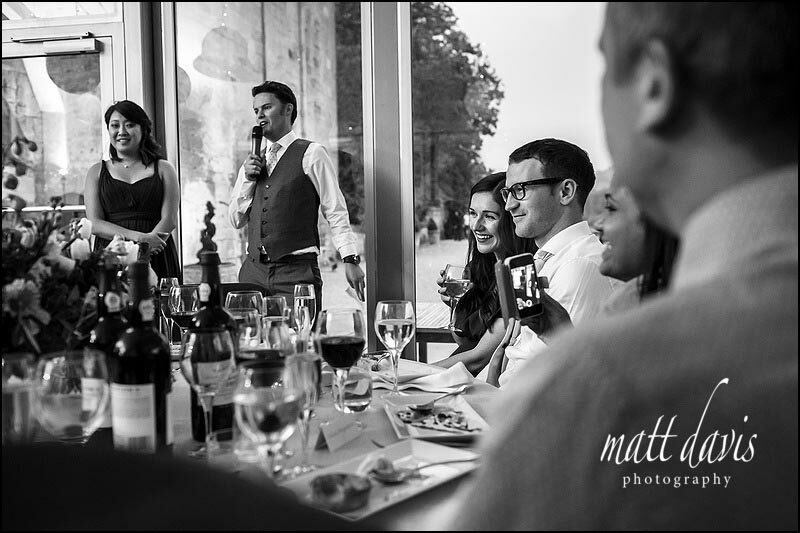 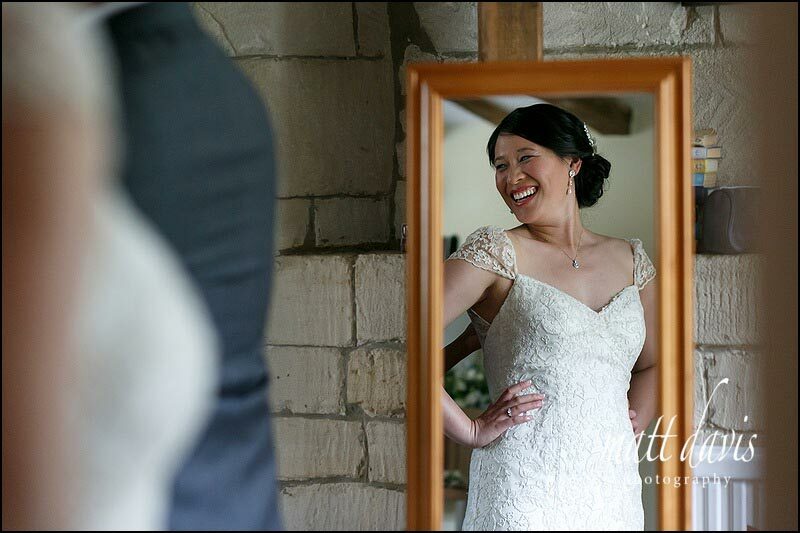 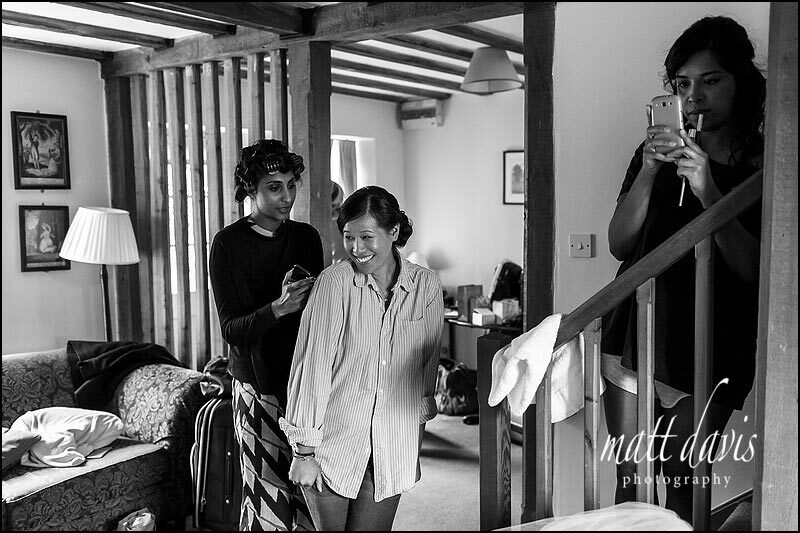 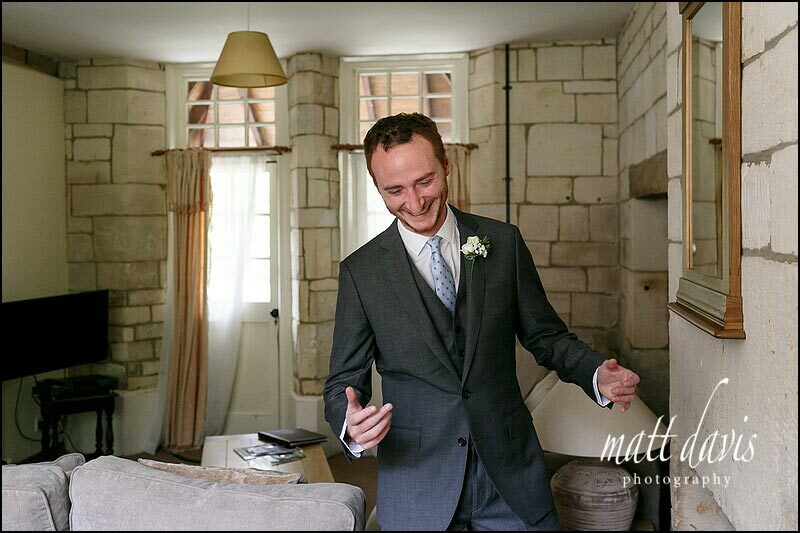 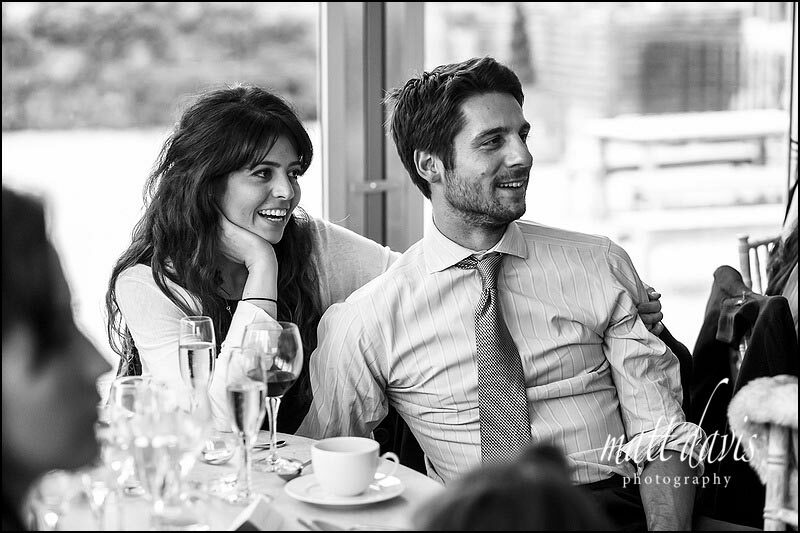 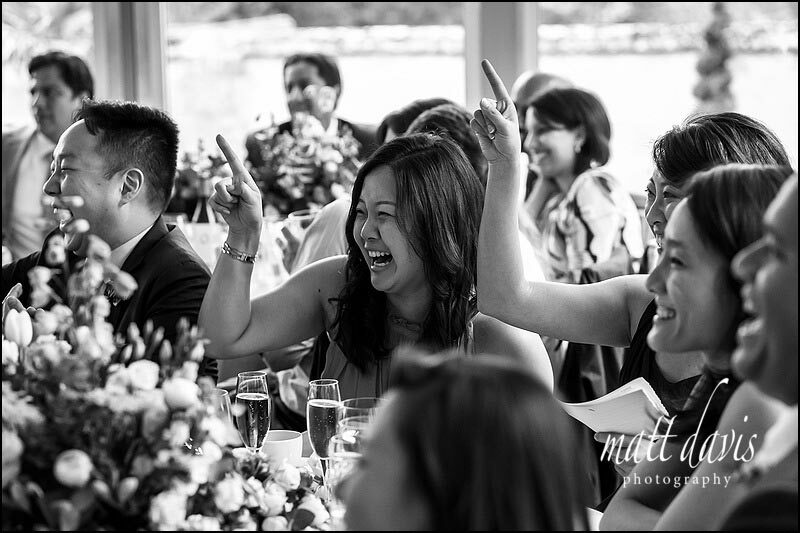 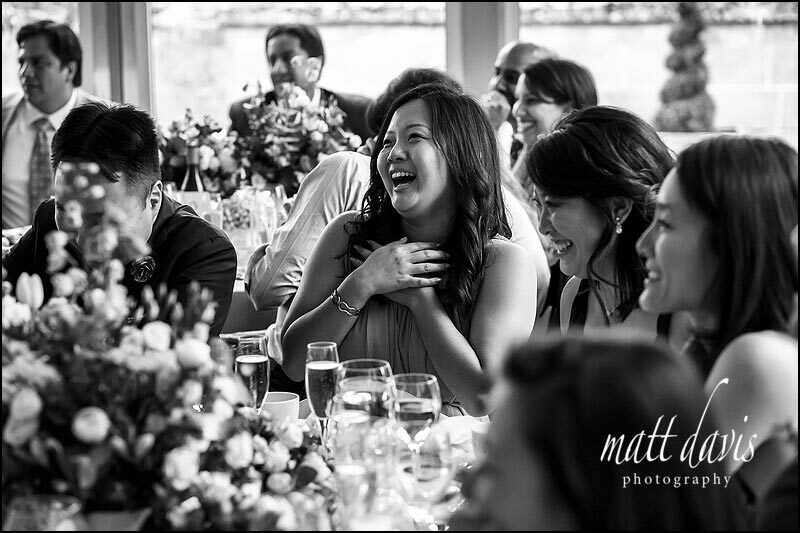 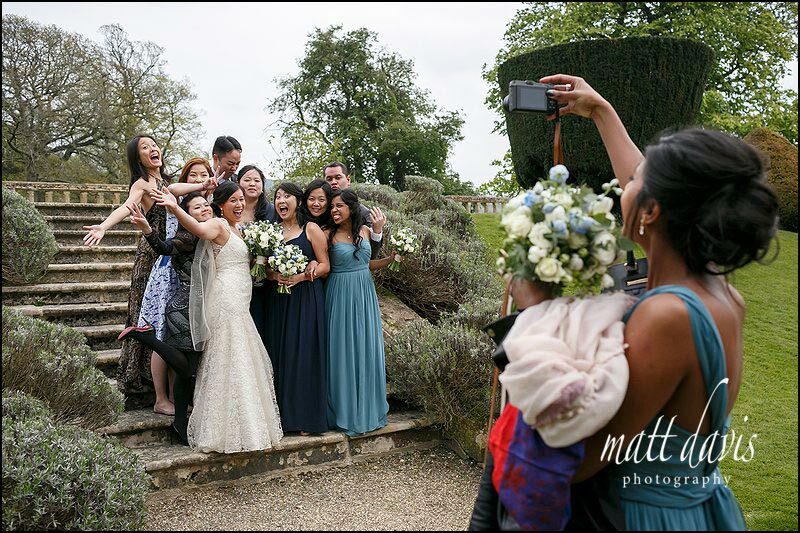 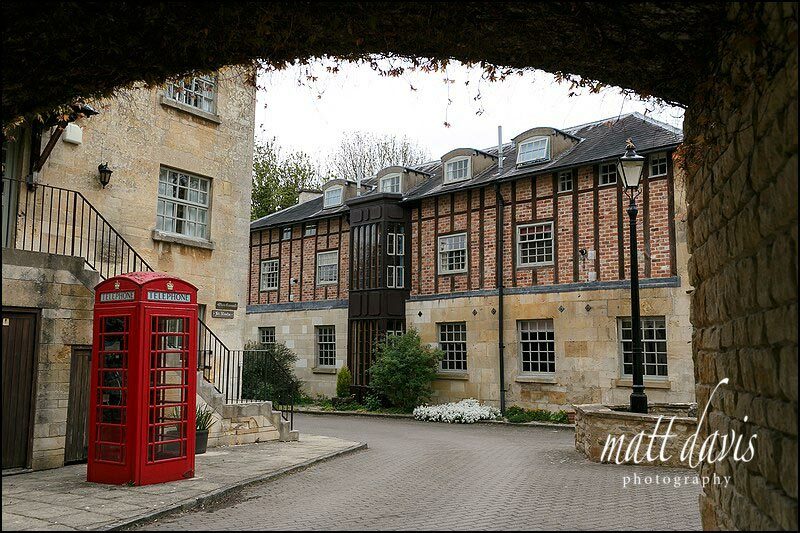 Sudeley Castel wedding cottages…..full of excitable individuals ready for a super wedding day ahead! 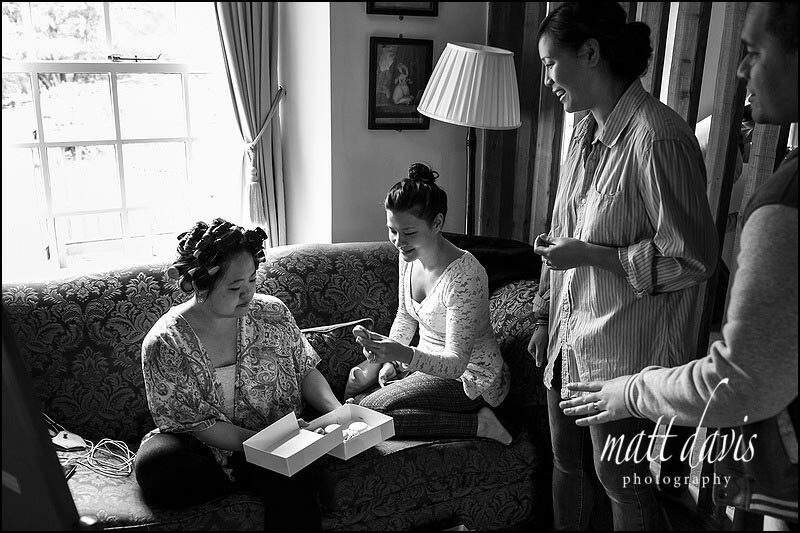 Home made macaroons to start the day off. 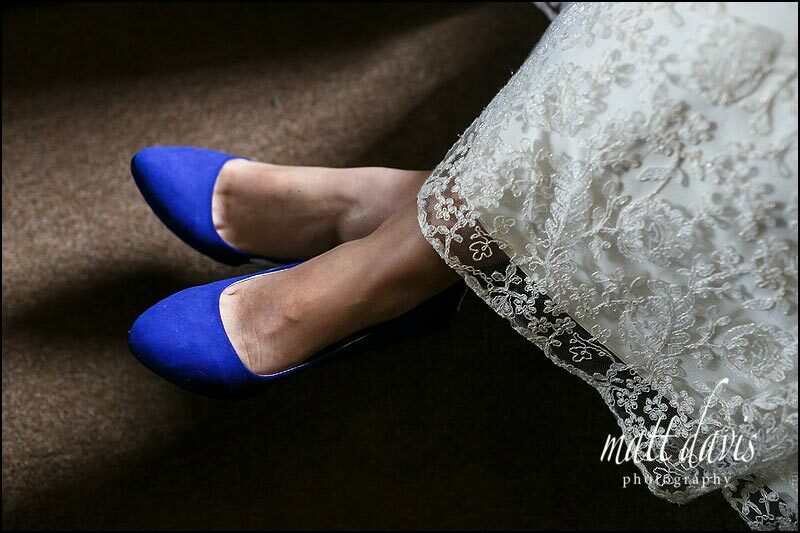 Blue wedding shoes – not the norm, but very zingy, I like! 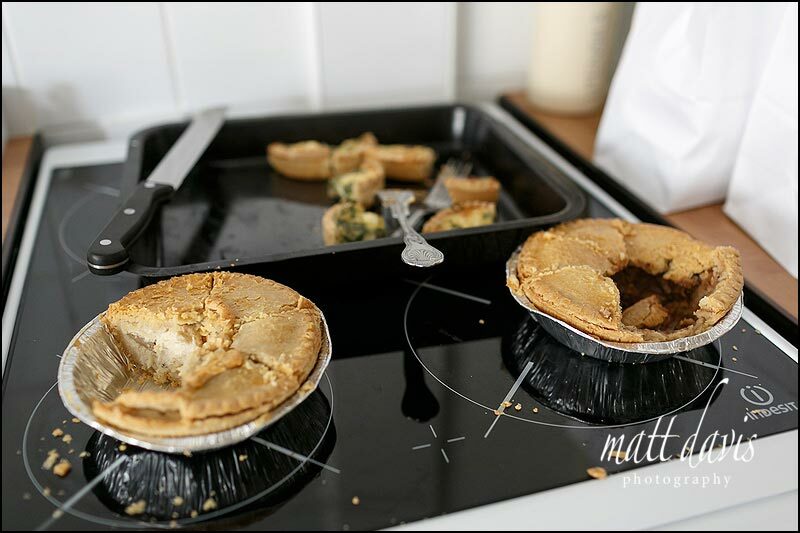 PIE – feed me pie! 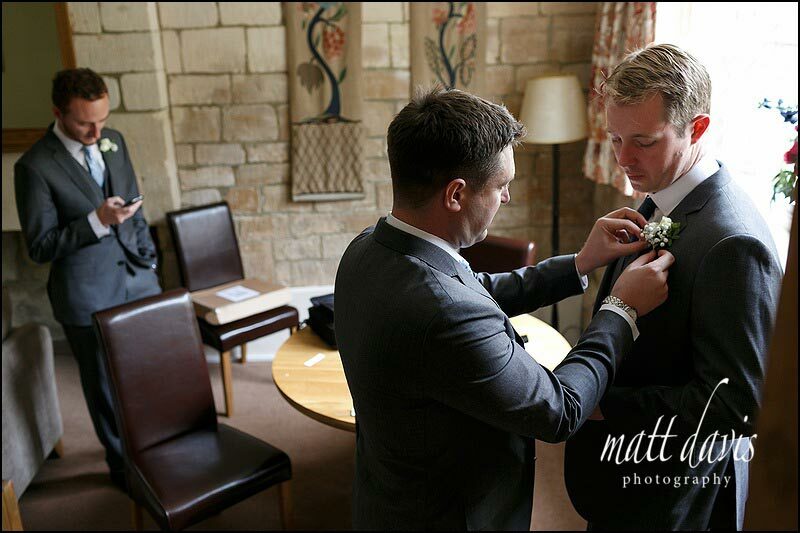 Note the use of scissors here. 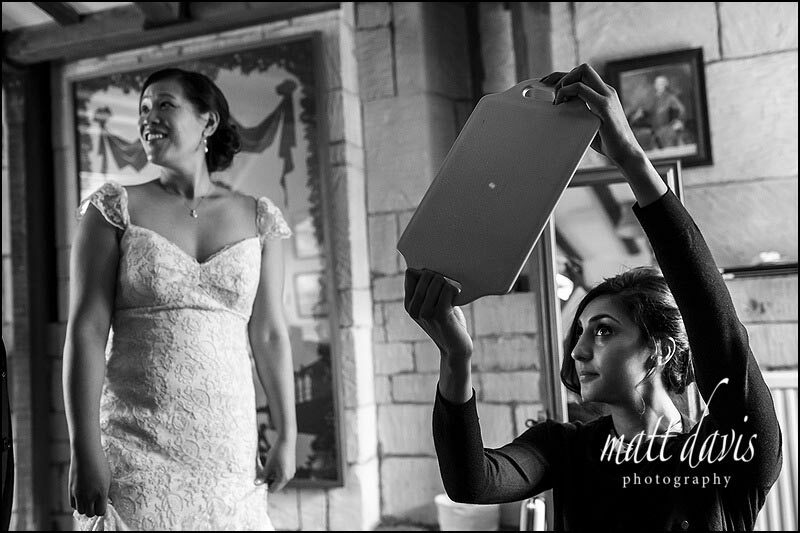 A top tip from me for anyone on their wedding day. 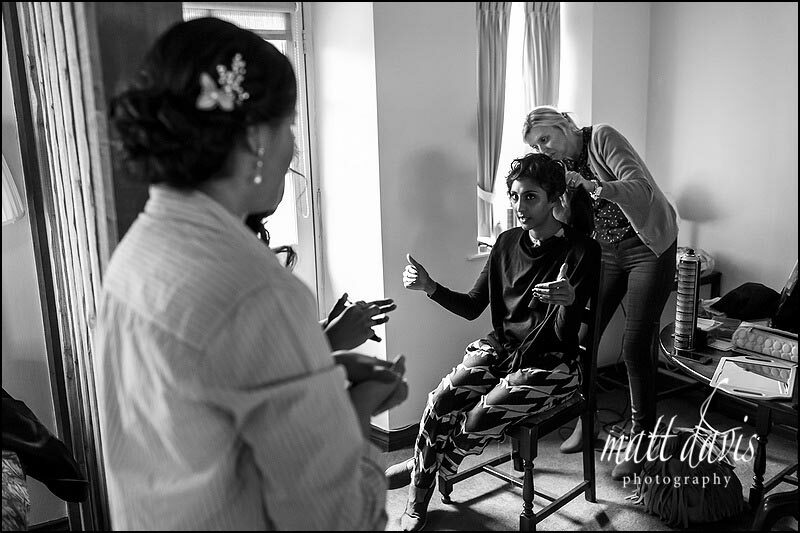 Take some scissors with you as you always need them in the morning! 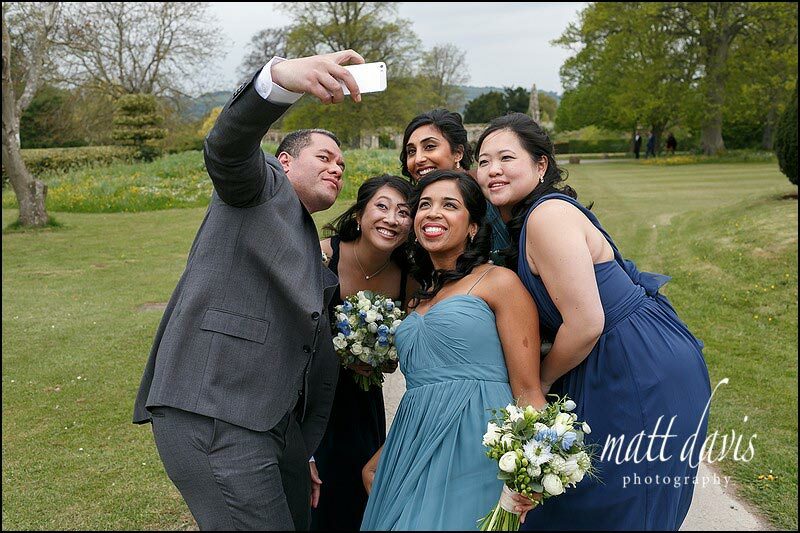 Looking good – now for a few photos. 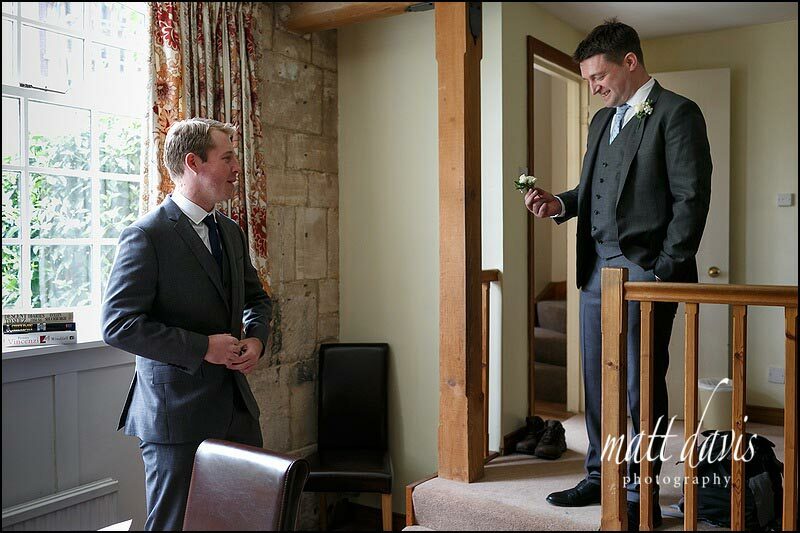 Someone’s going the wrong way here surely? 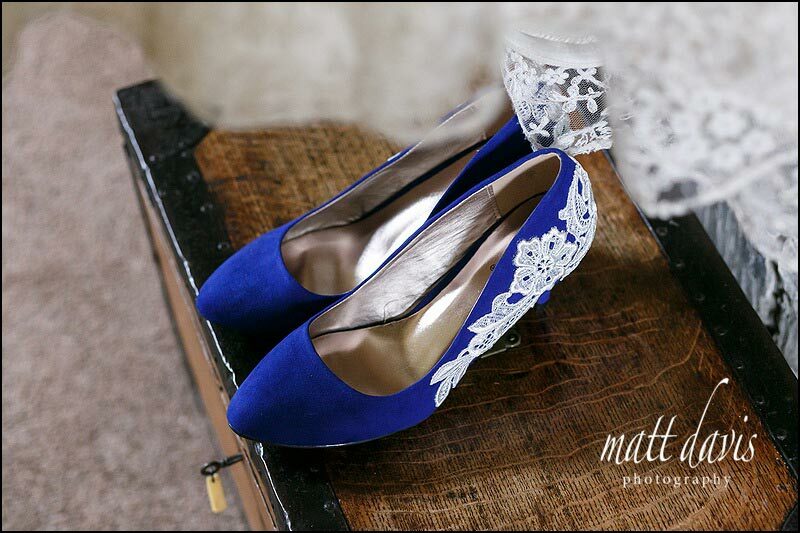 Only on your wedding day is this allowed. 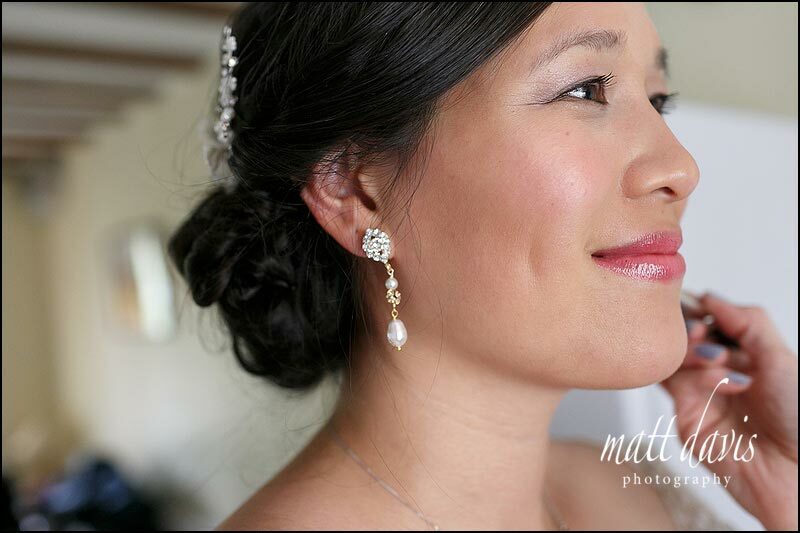 What amazing skin Peling has hey? 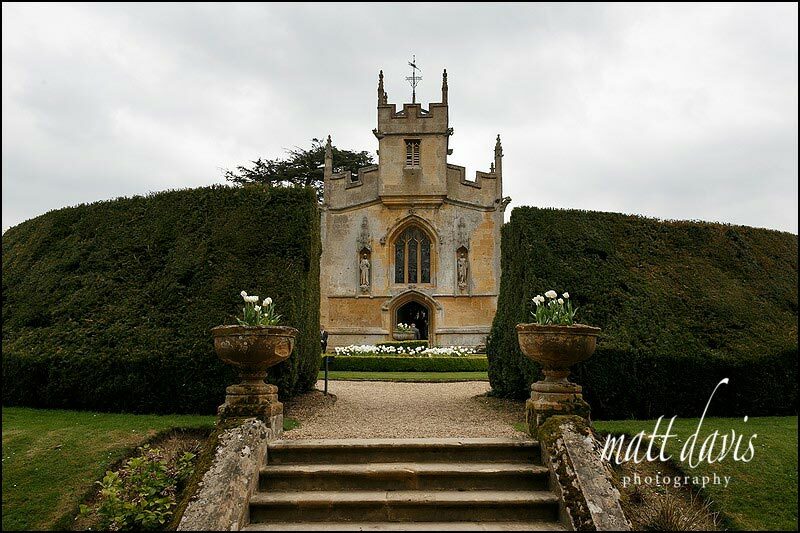 The on site chapel at Sudeley Castle. 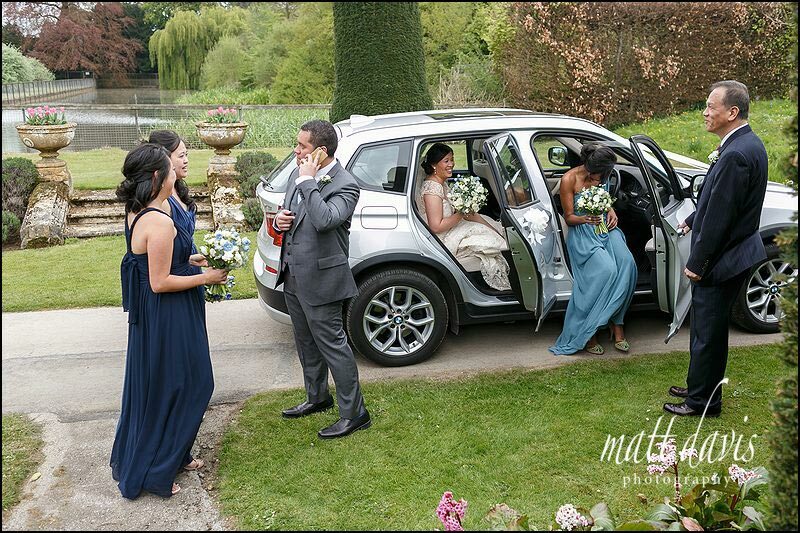 No the bridesmaid didn’t bring Peling to the wedding, she actually hopped back into the wedding car to keep warm whilst we waited for a few late guests to arrive. 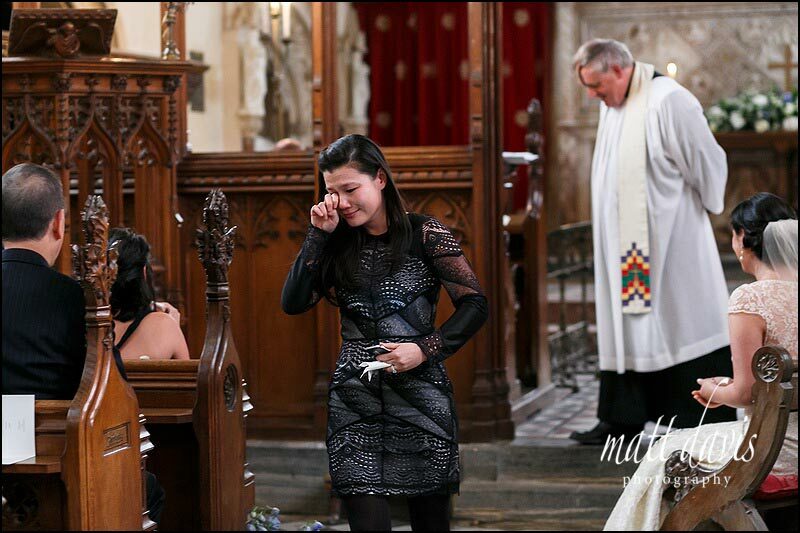 Not a dry eye in the place. 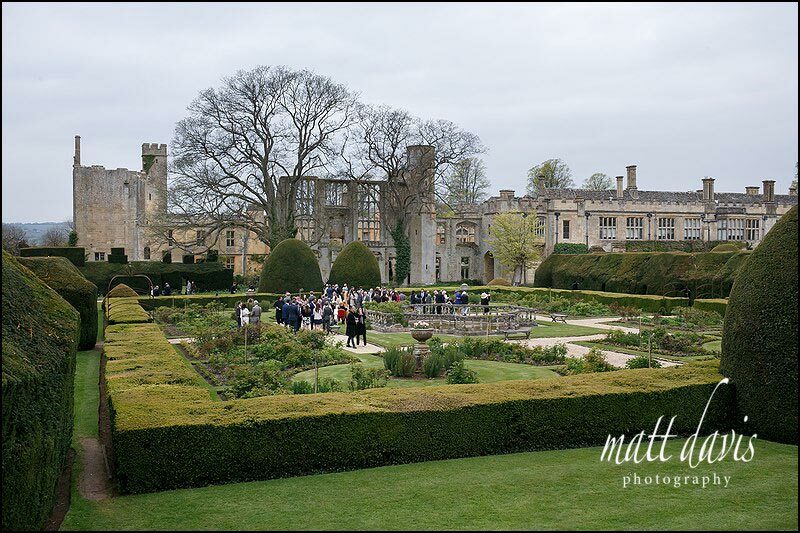 Wedding drinks reception at Sudeley Castle in the rose garden. 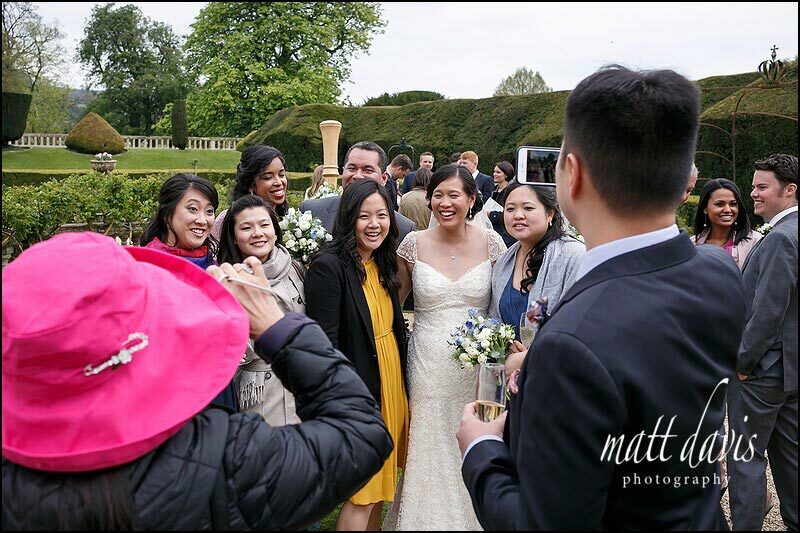 My usually view when arranging group photos. 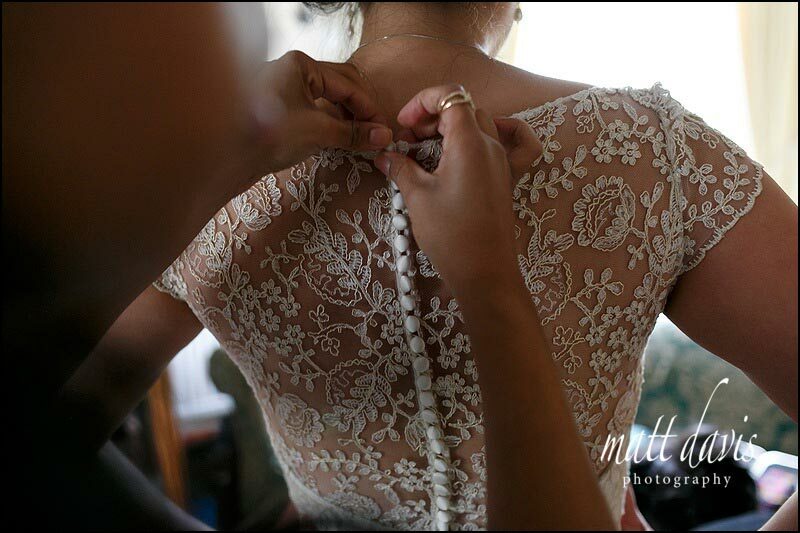 Once clear it’s back to business! 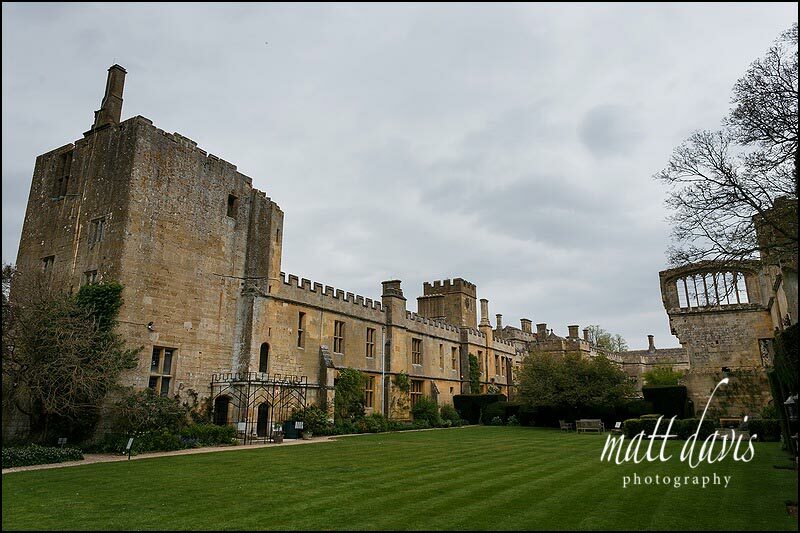 Sudeley Castle laid up ready for the wedding breakfast. 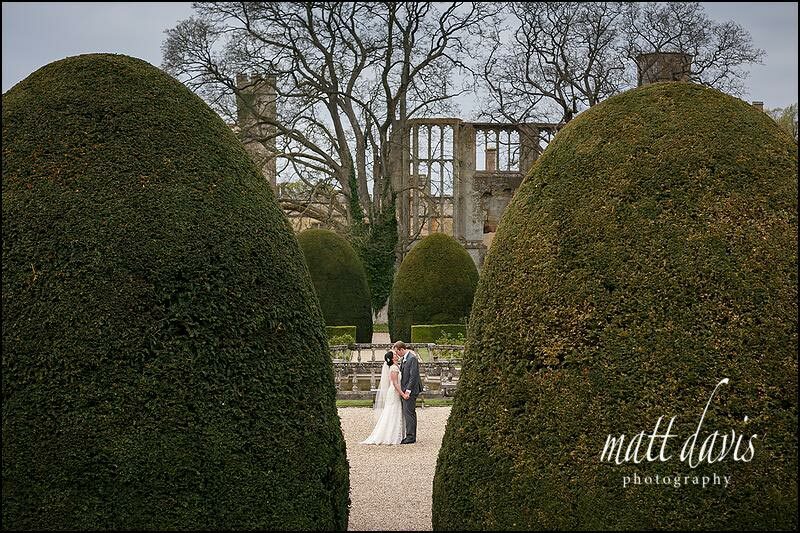 Sudeley Castle is a great location for wedding photos. 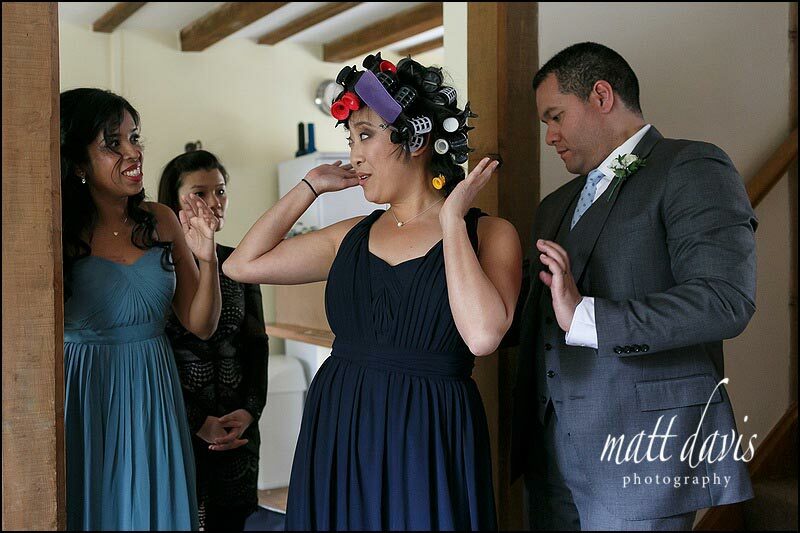 So many options to choose from. 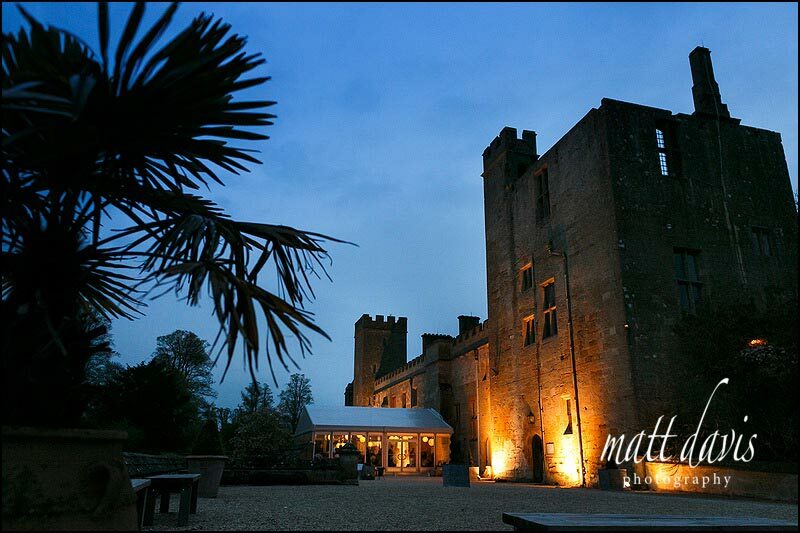 I love the crumbling old part of the castle……but enter this area at your own risk! 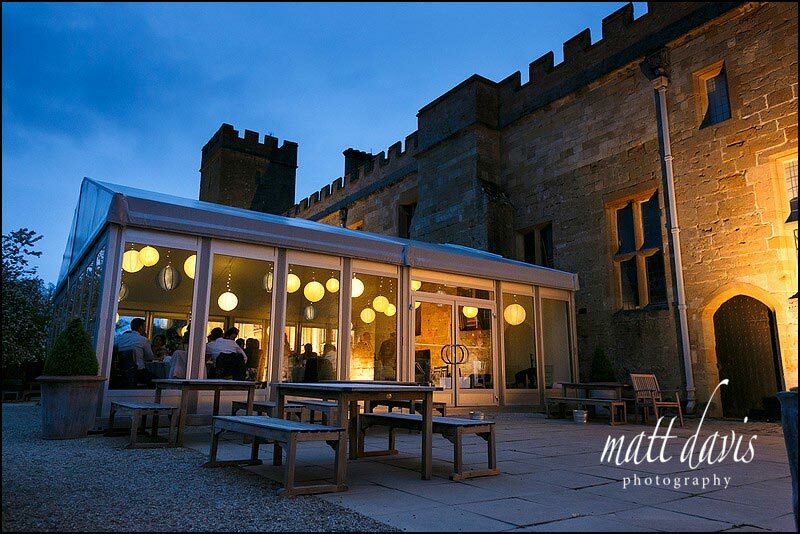 The wedding breakfast was held in the marquee attached to the main castle. 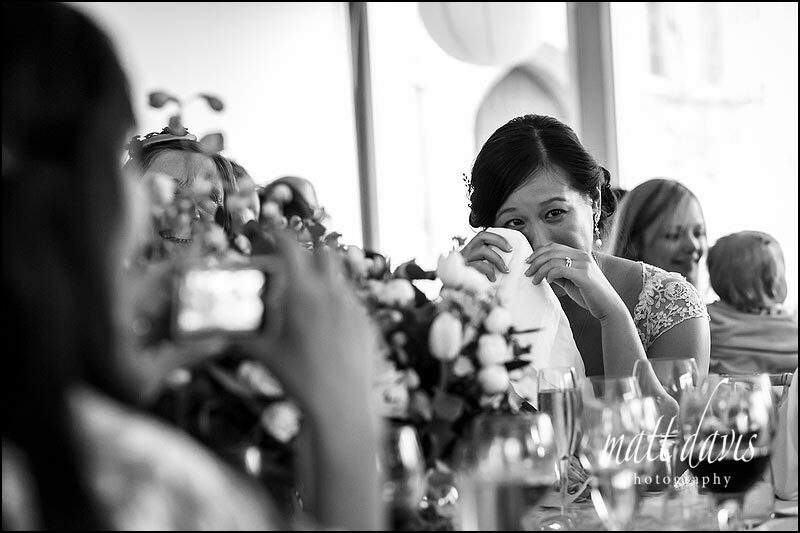 Table napkins come in handy during speeches. 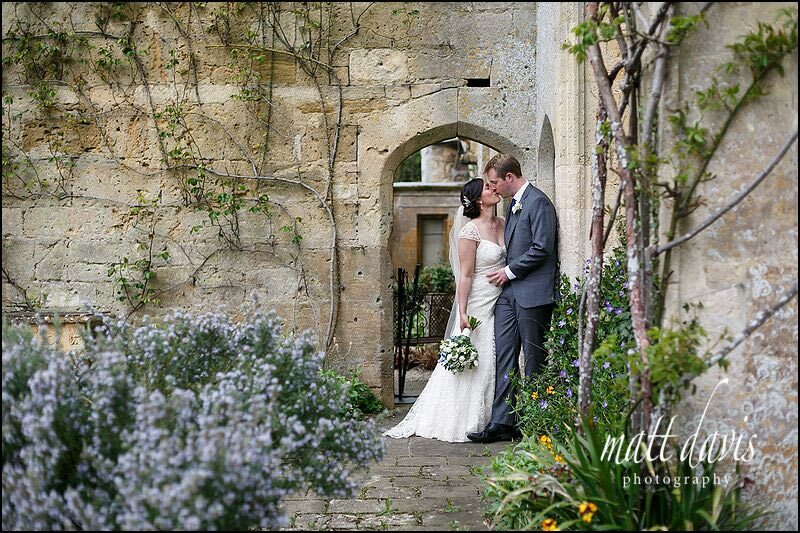 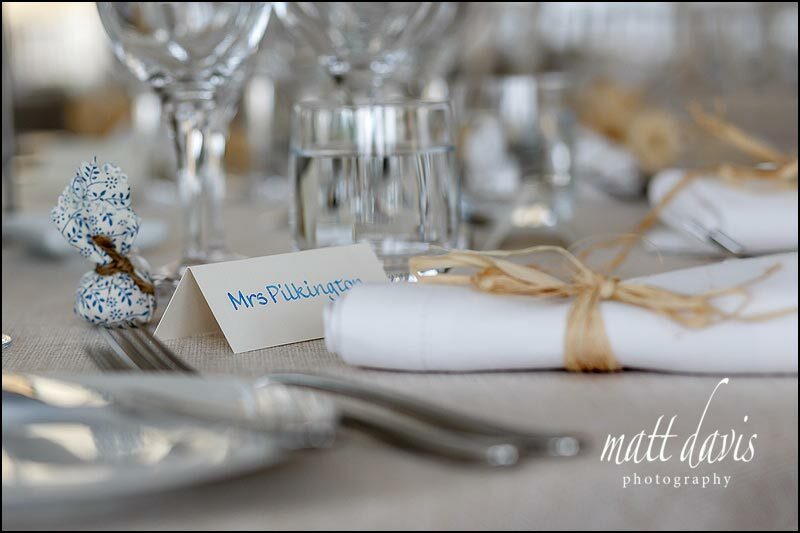 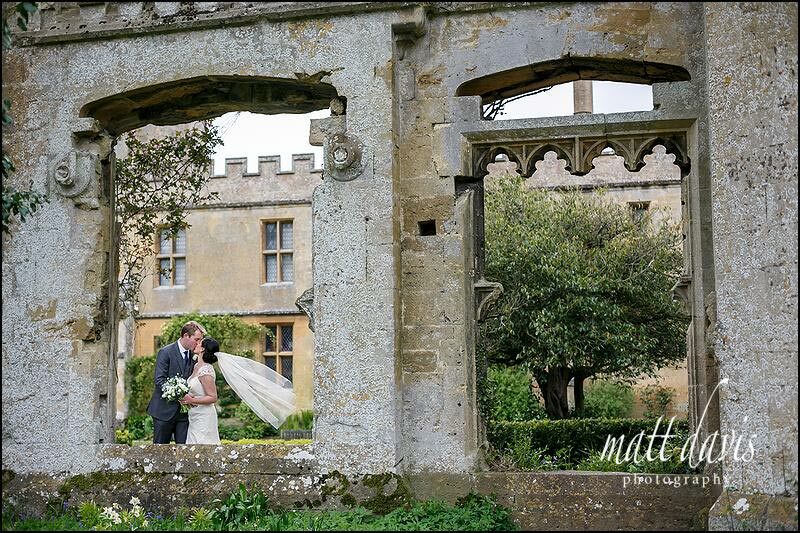 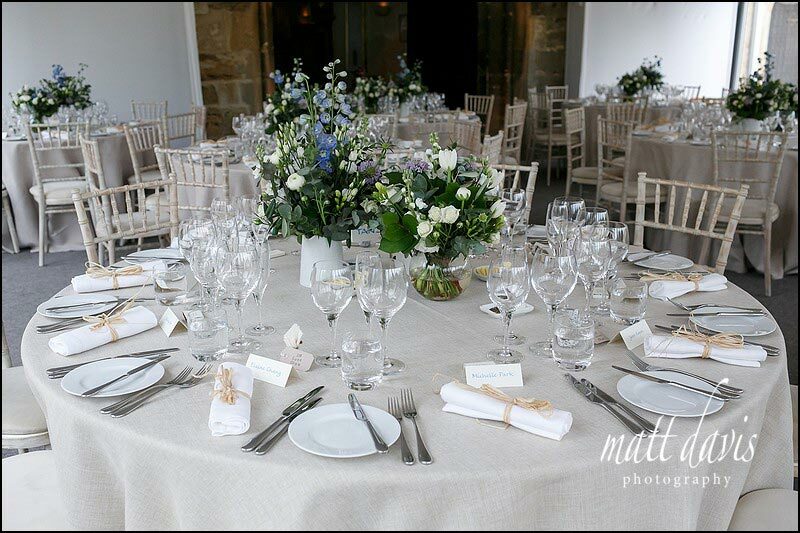 If you are considering a Sudeley Castle wedding, please contact me for a chat, I’d love to hear from you.